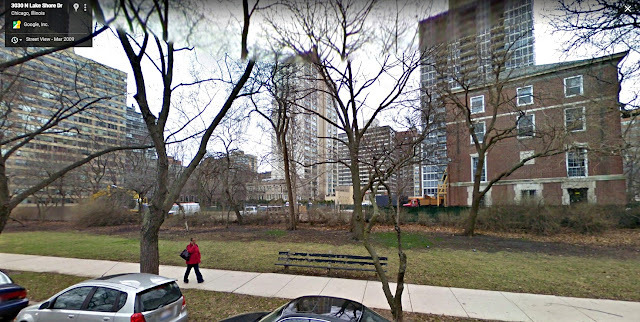 Let's take a Google Viewer Tour! 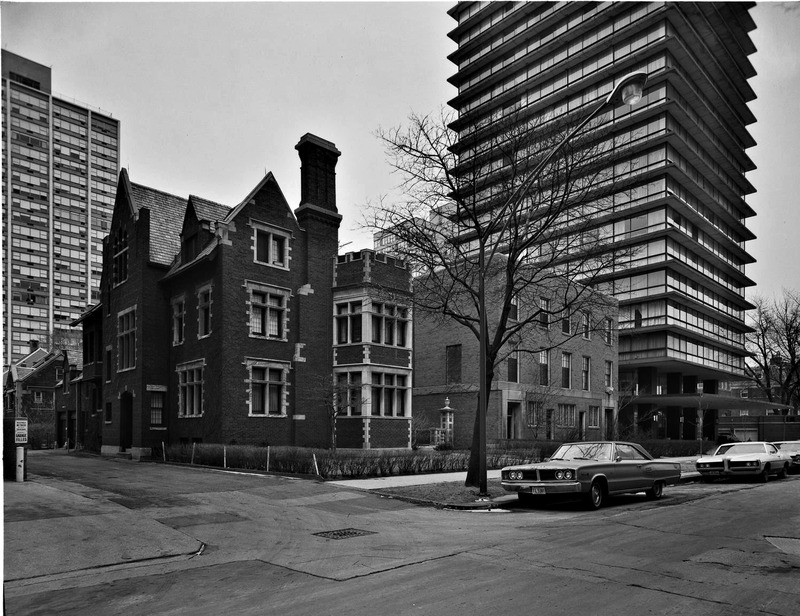 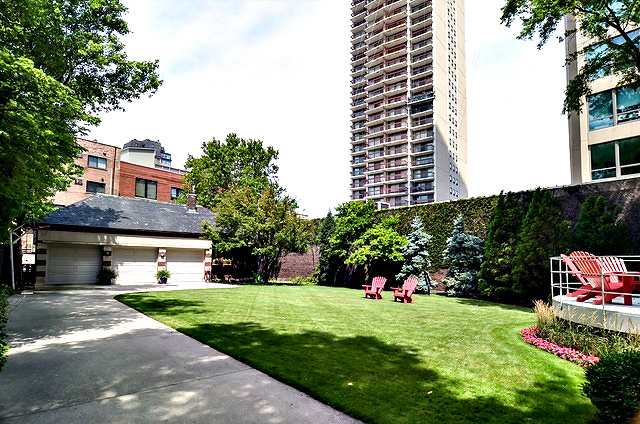 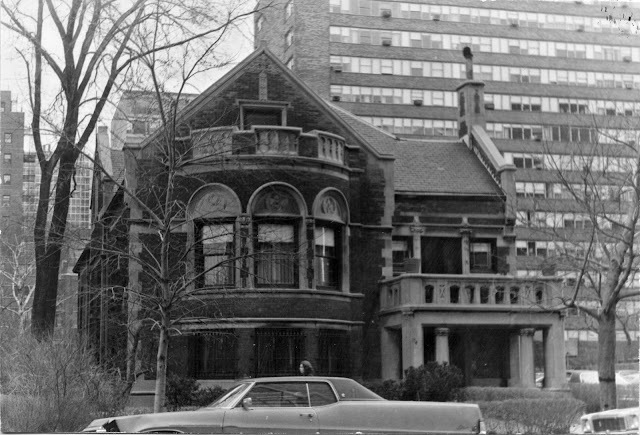 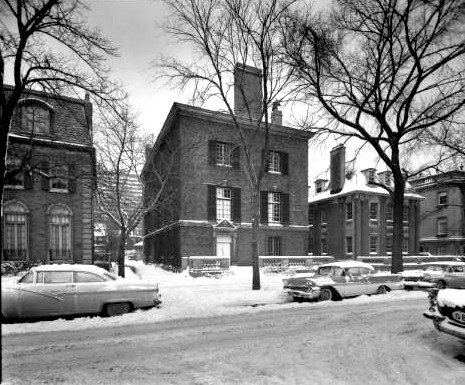 By 1990 these former mansions were still 'cut-up' rental units or abandon buildings were saved from the wrecking ball by concerned citizens of the neighborhood. 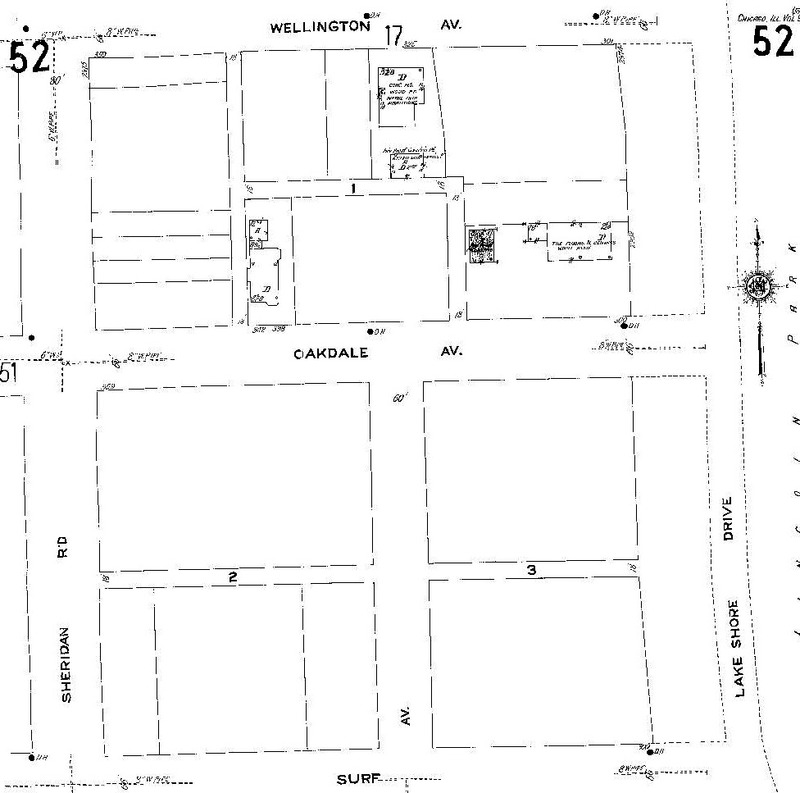 The houses along this street were in decay and mostly vacant. One house split in-half by the forces of decay and neglect; one half of a mansion sinking into the earth. 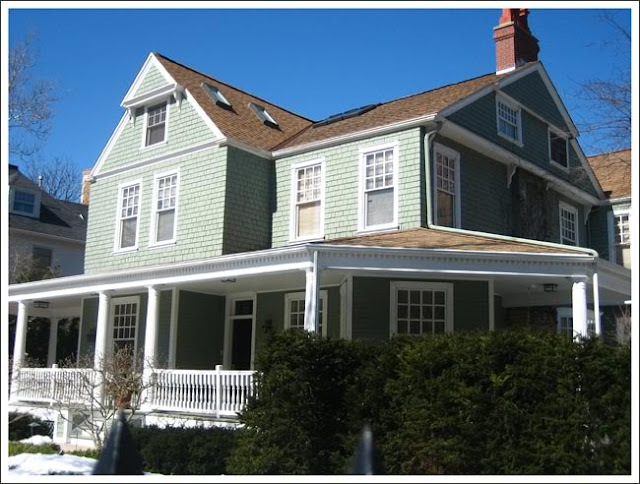 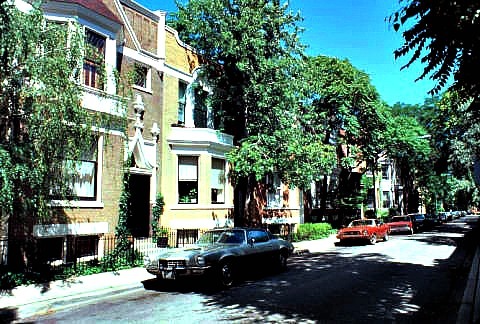 By the mid to late 90's these houses were restored to their pristine condition by architecture firms and independent contractors. 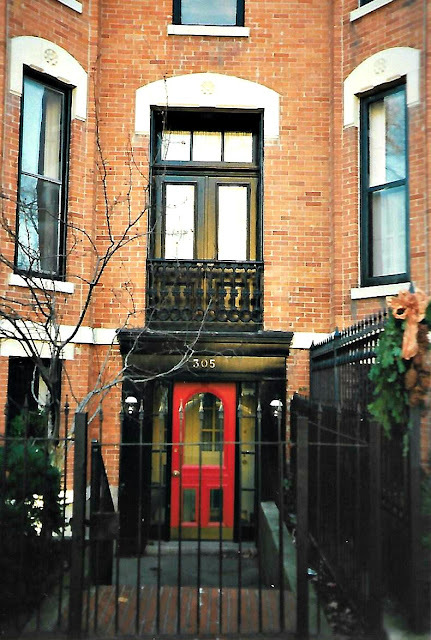 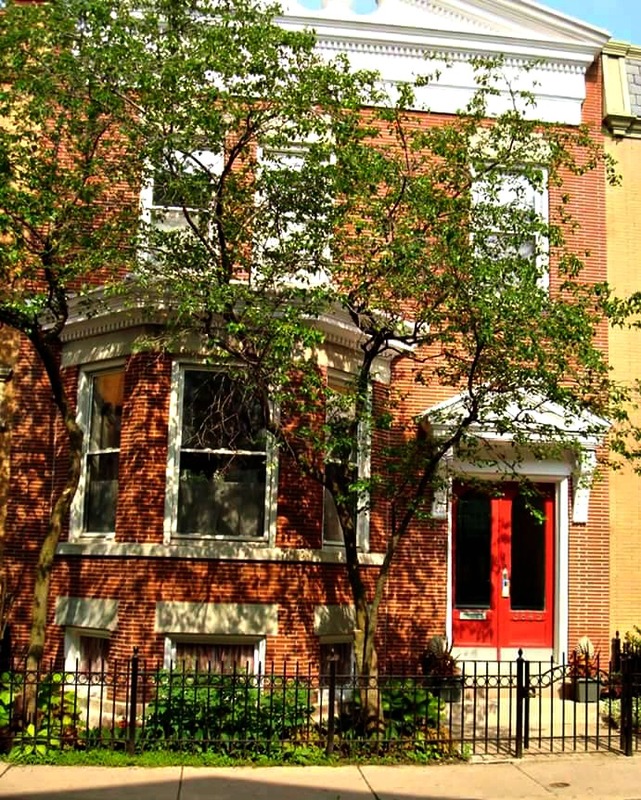 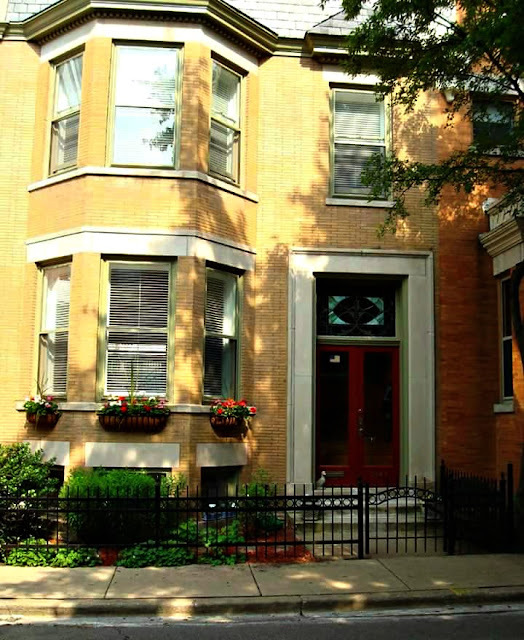 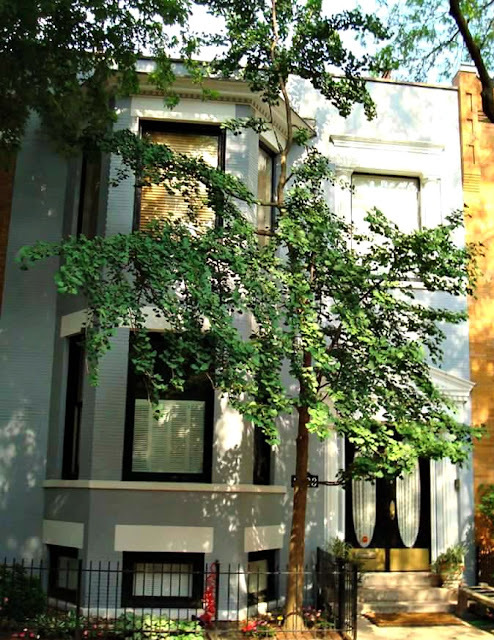 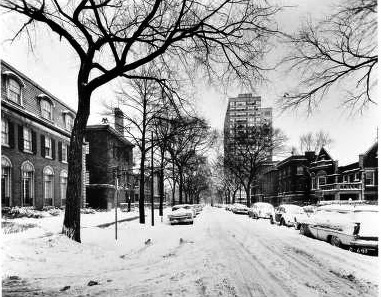 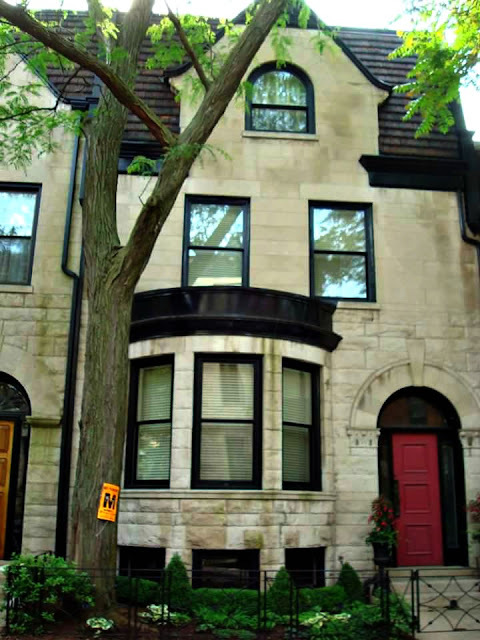 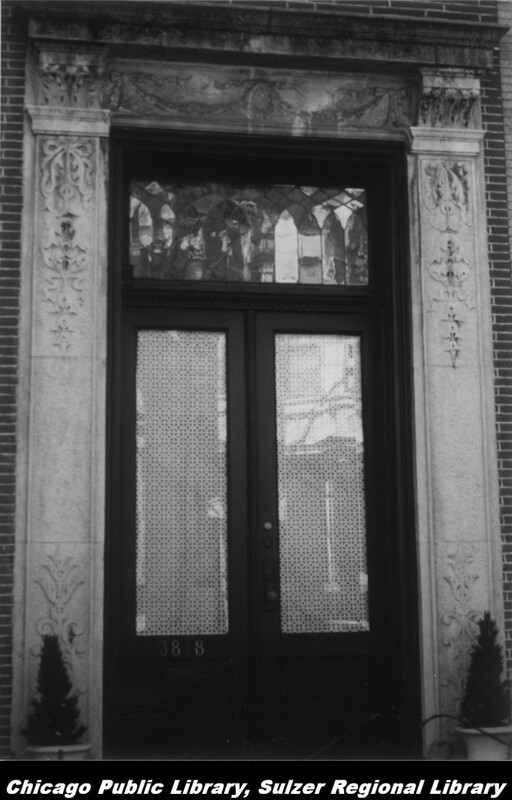 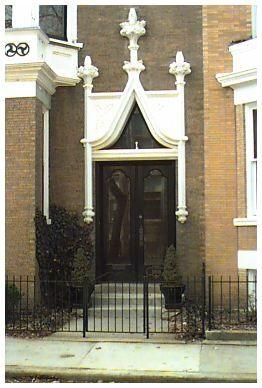 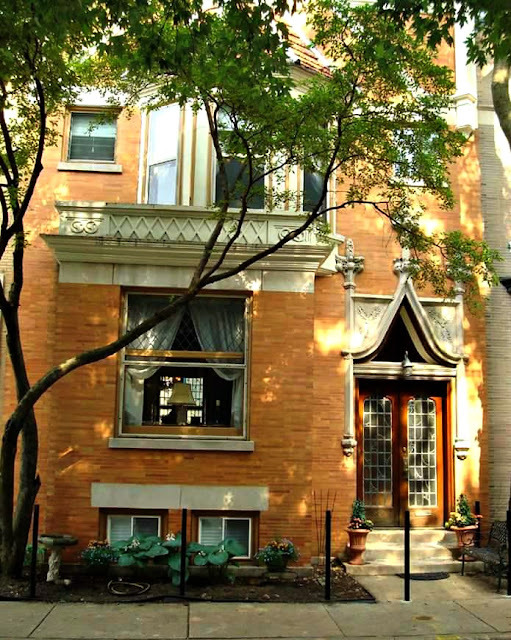 Hawthorne Place was designated a Chicago Landmark in 1996. 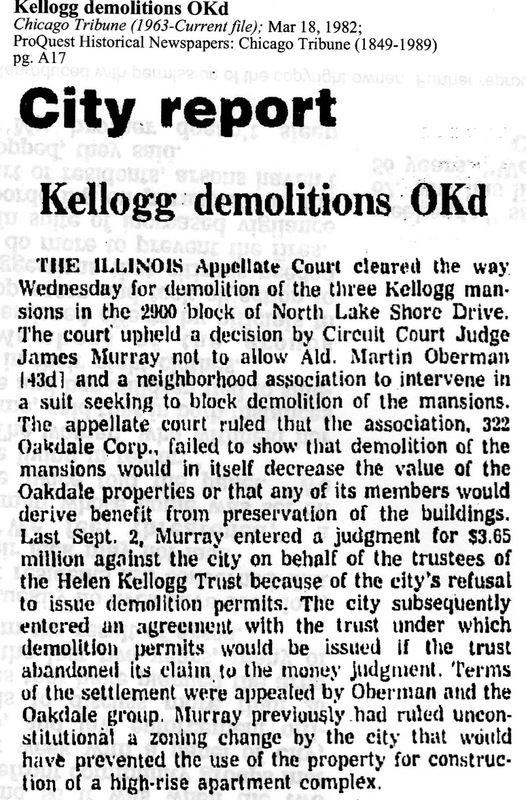 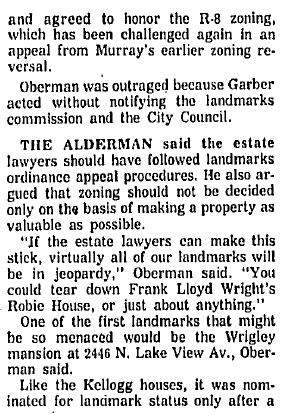 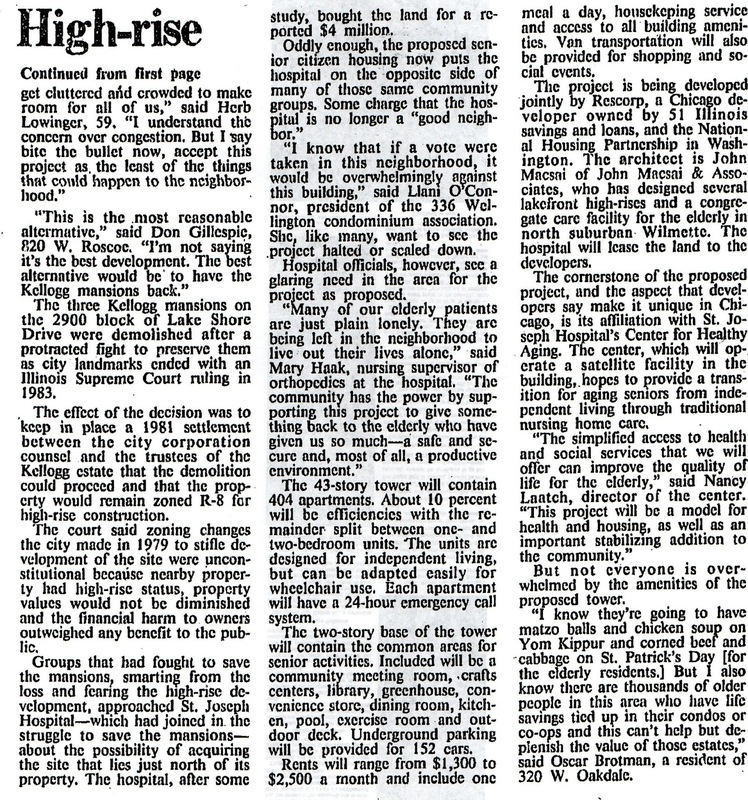 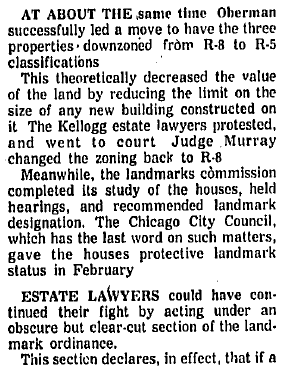 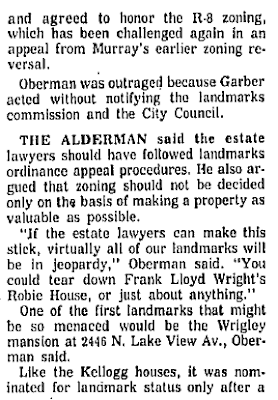 The articles below tell two tales that could have been the beginning of the end for the mansions of the block. 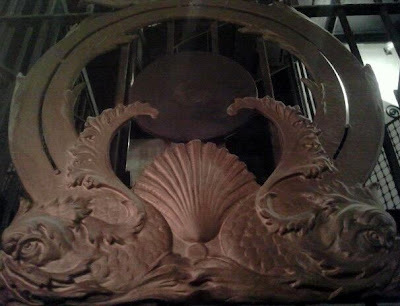 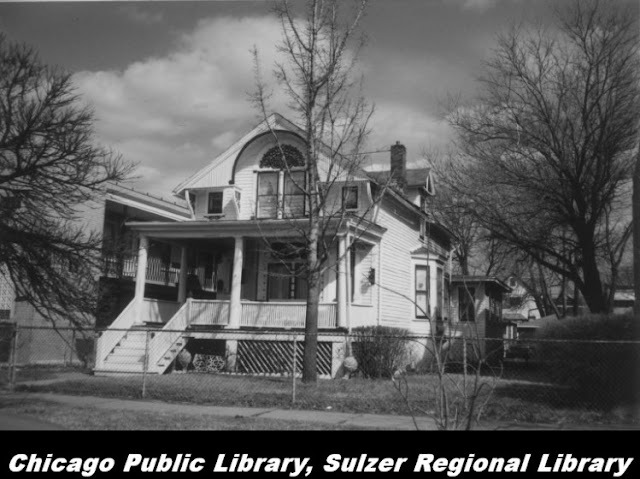 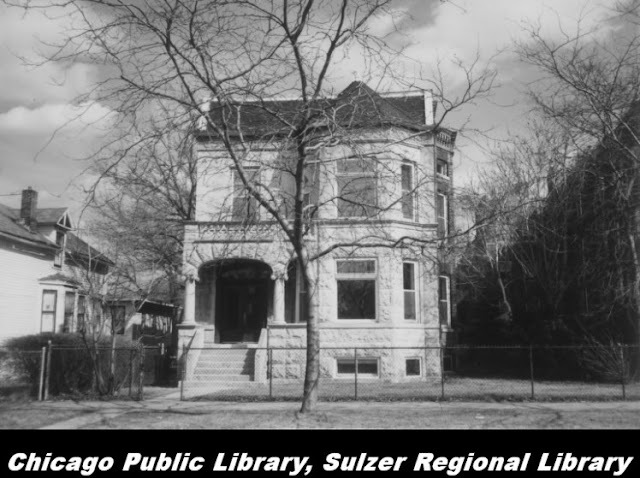 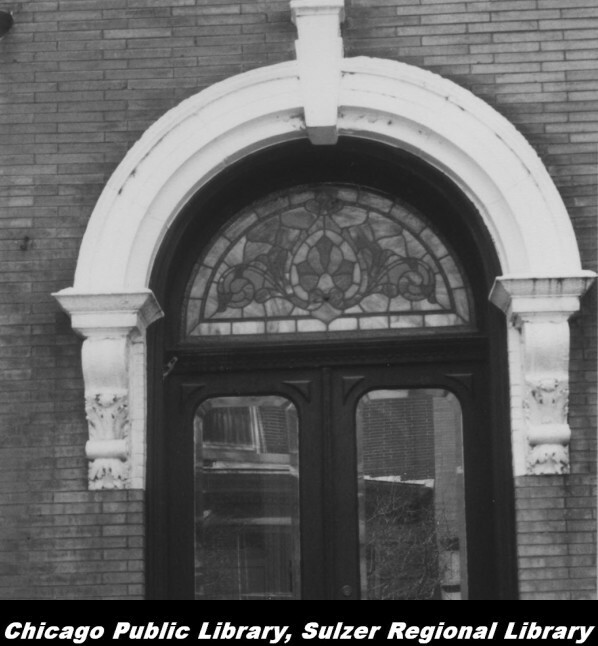 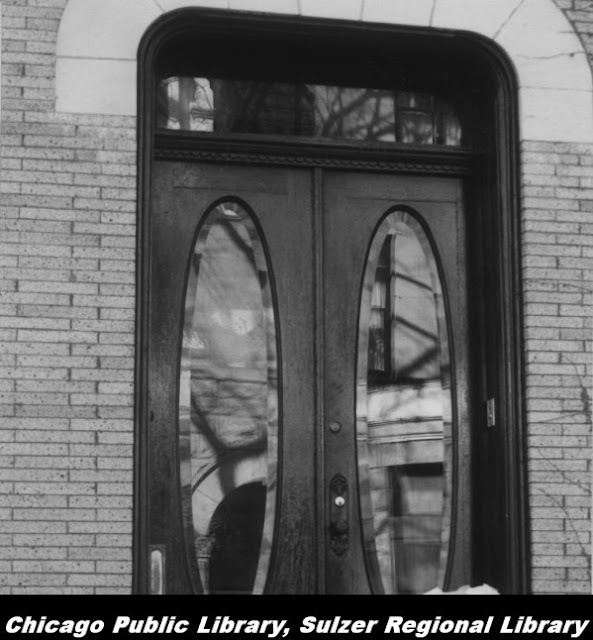 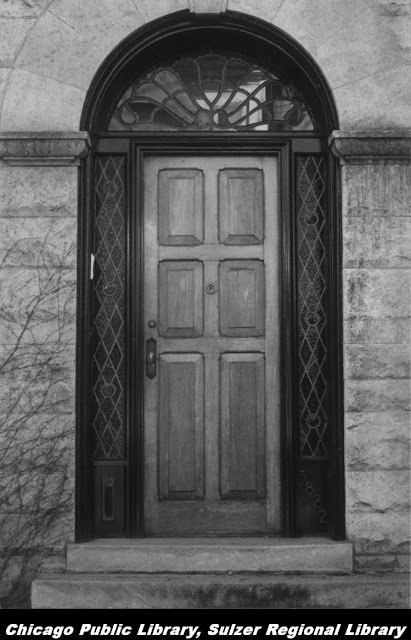 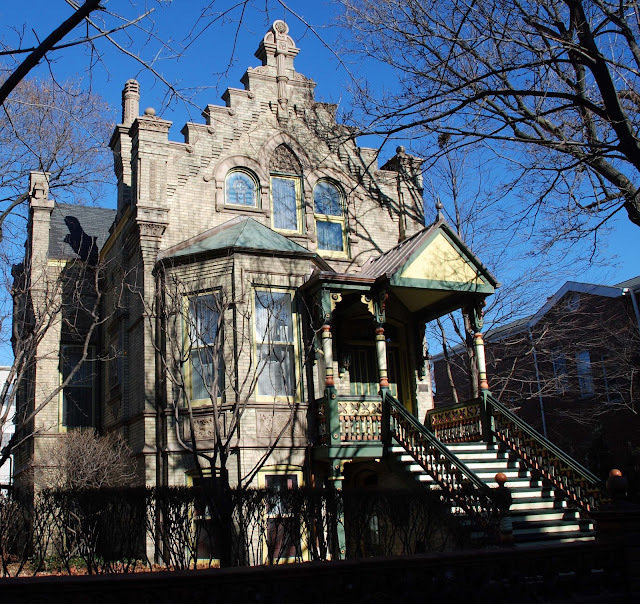 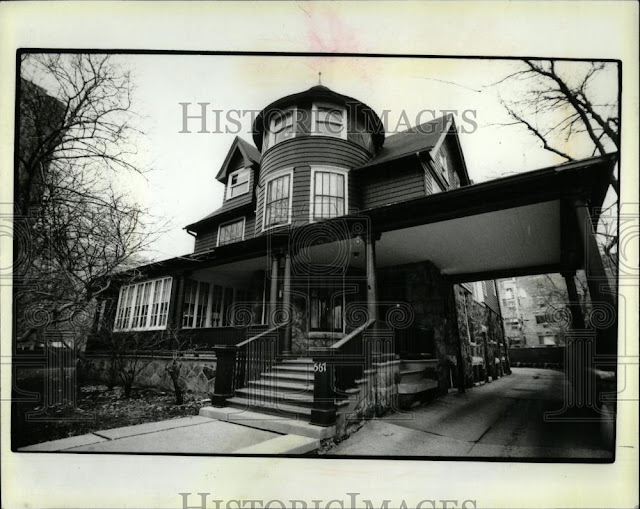 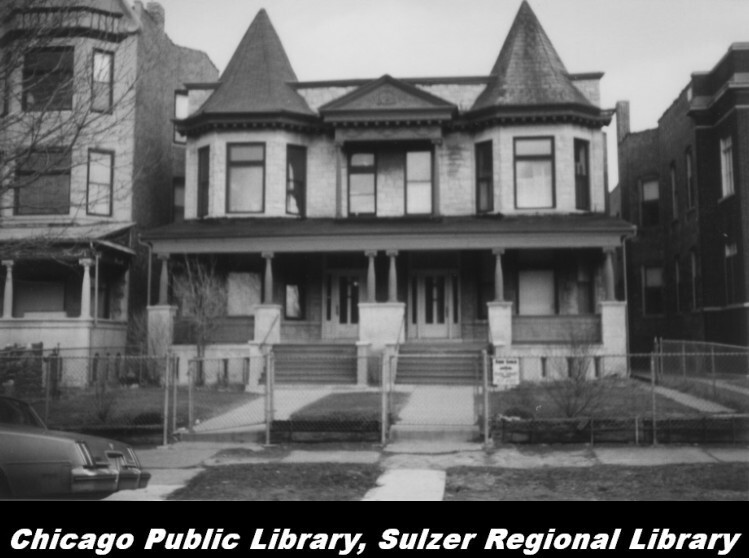 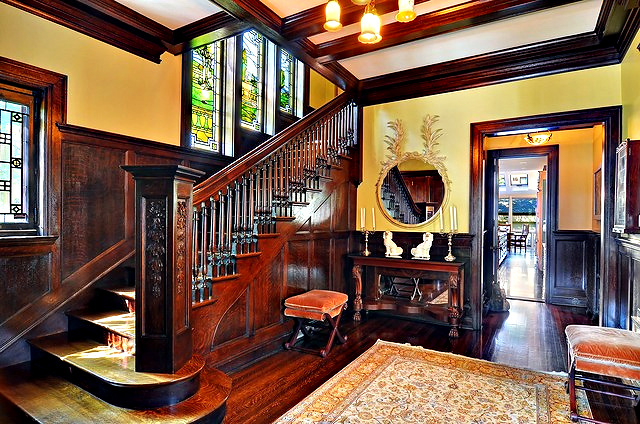 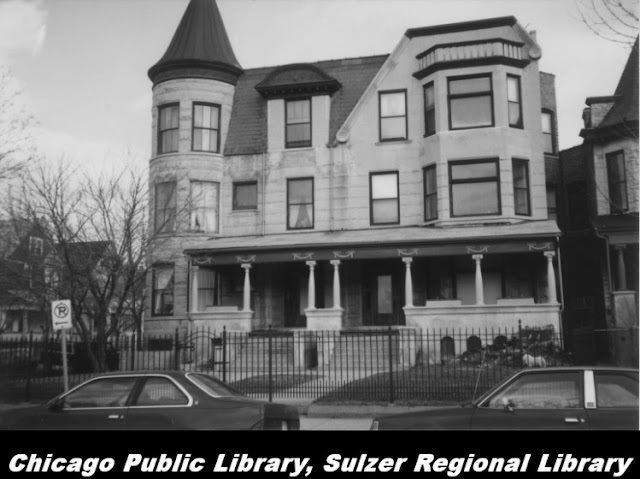 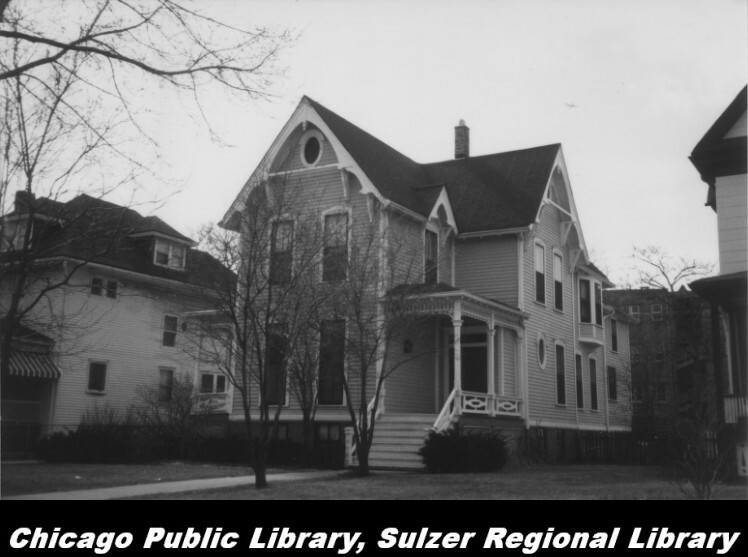 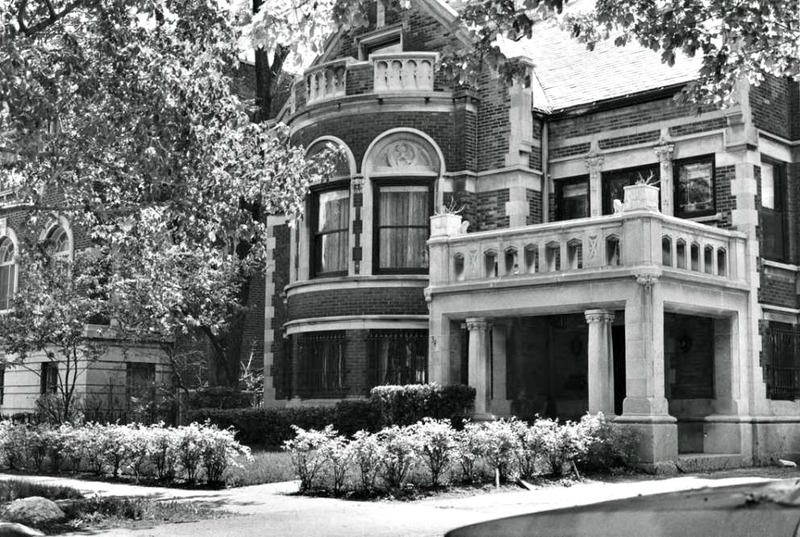 These images below tell a tale about a Queen Anne style mansion originally owned by Herman H. Hettler who owned a lumber company along Elston Avenue at the turn of the 20th century. 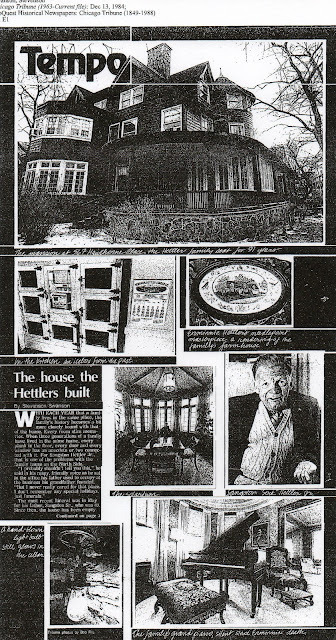 This house was held at public auction in 1984 after his death. 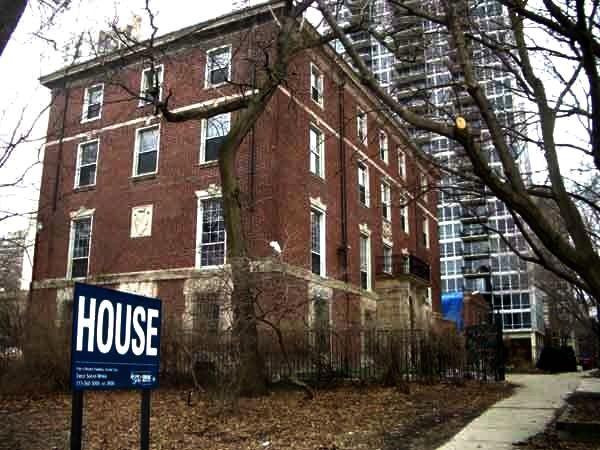 As 2011, this house is owned by the Day School and now apparently vacant again with an unknown future. 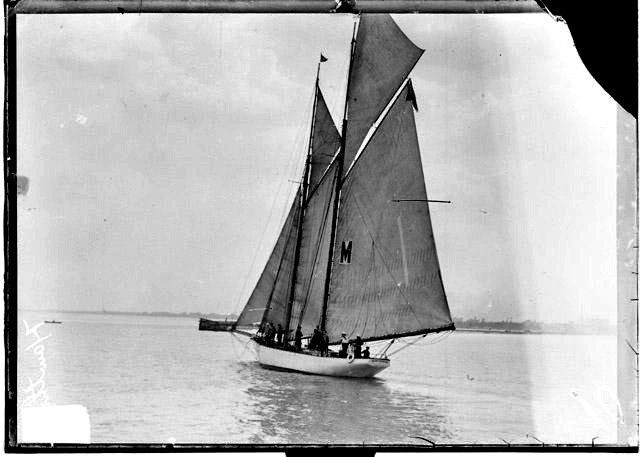 out of 5 crafts that raced that year. 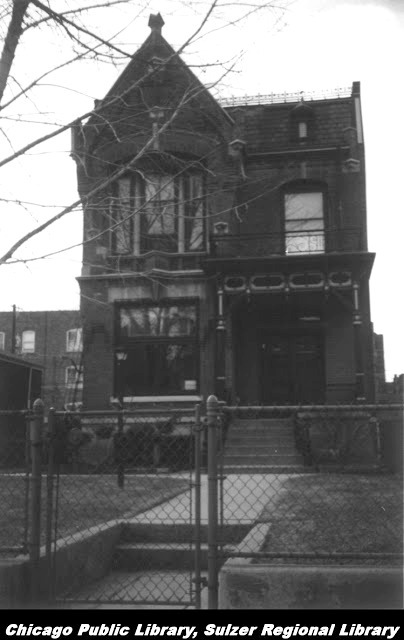 Marion Eisendrath Rosenbluth home as of the age of four. 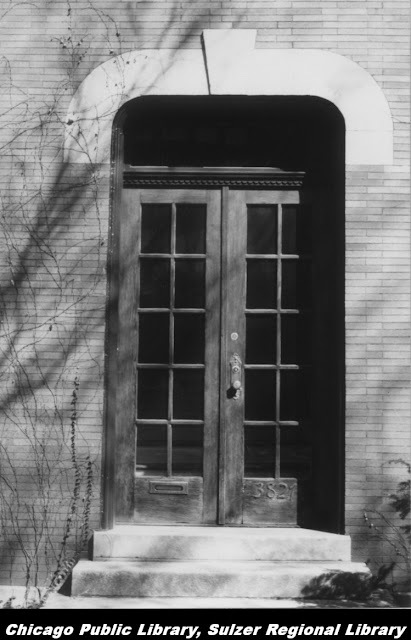 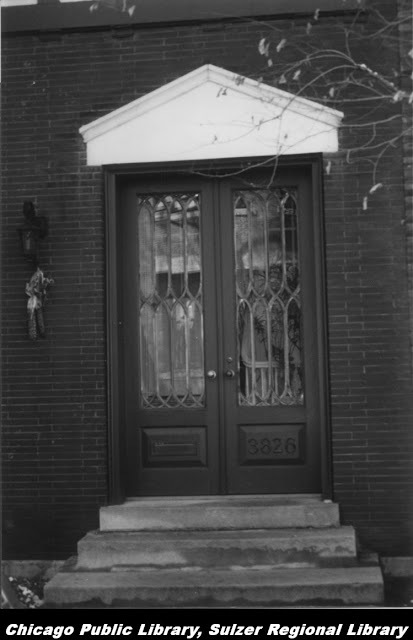 Her family moved to 546 Hawthorne Place when she was two or three. 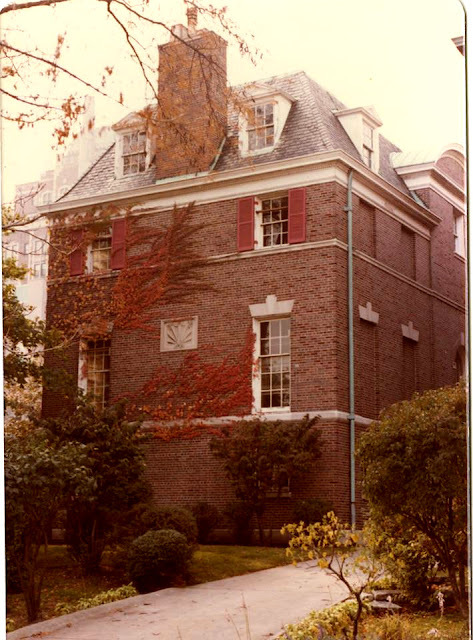 Most of her pre-college education was at Francis W. Parker School. 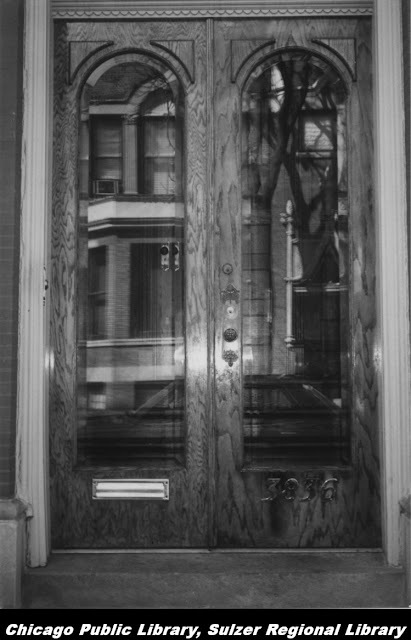 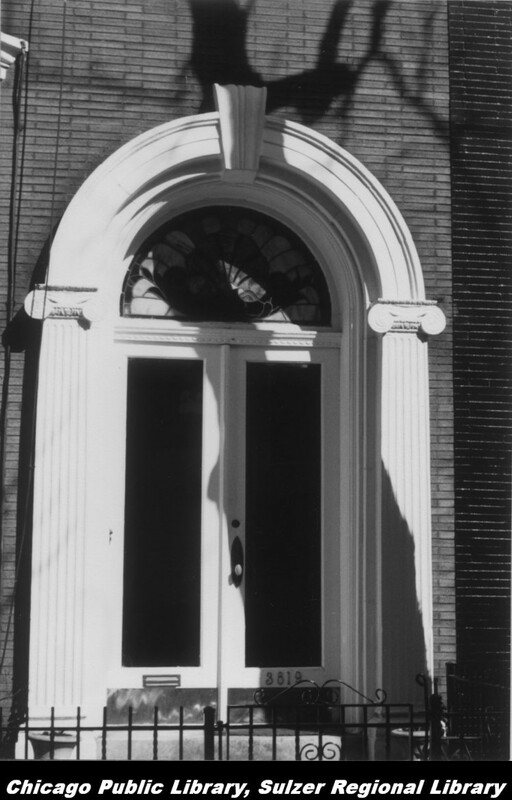 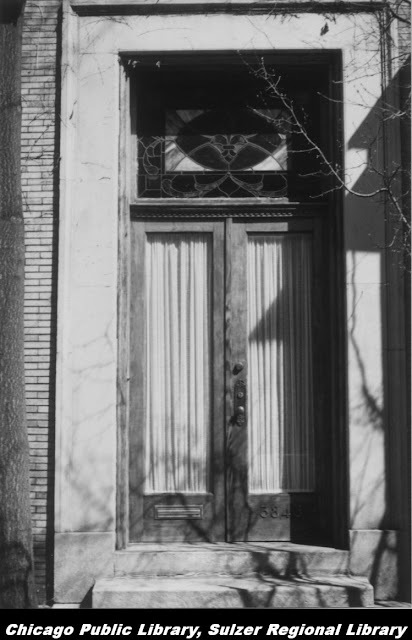 She was married at 546 Hawthorne Place in 1950. 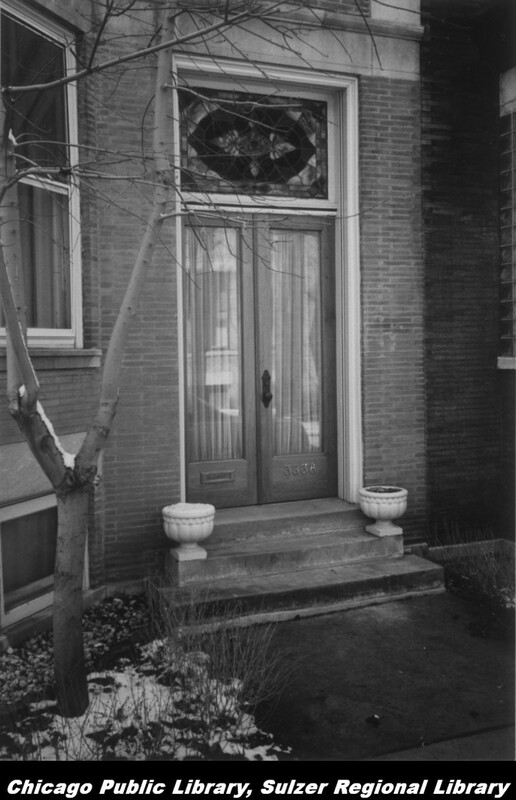 They lived in Old Town, then bought 503 W. Barry Avenue in about 1956. She sold it in the late 70's and moved to the Gold Coast to this day. 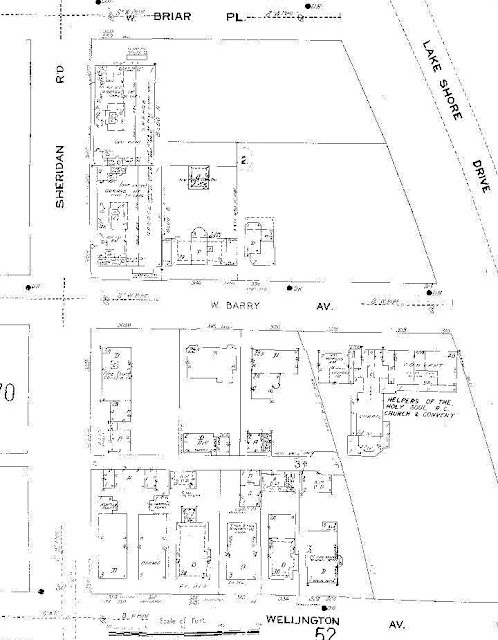 She grew up at 503 Barry, and frequently visited my grandparents on Hawthorne. 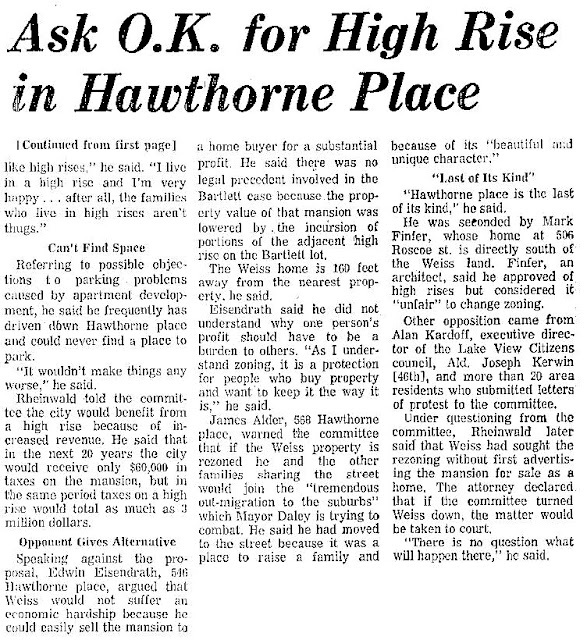 Hawthorne was the home of my grandmother until her death at 99 in 1992; my uncle lived with her for many years, and the house was finally sold in 1993. I also was married at 546 Hawthorne Place. My husband & I bought house on Janssen Avenue in 1987 and have lived there ever since. 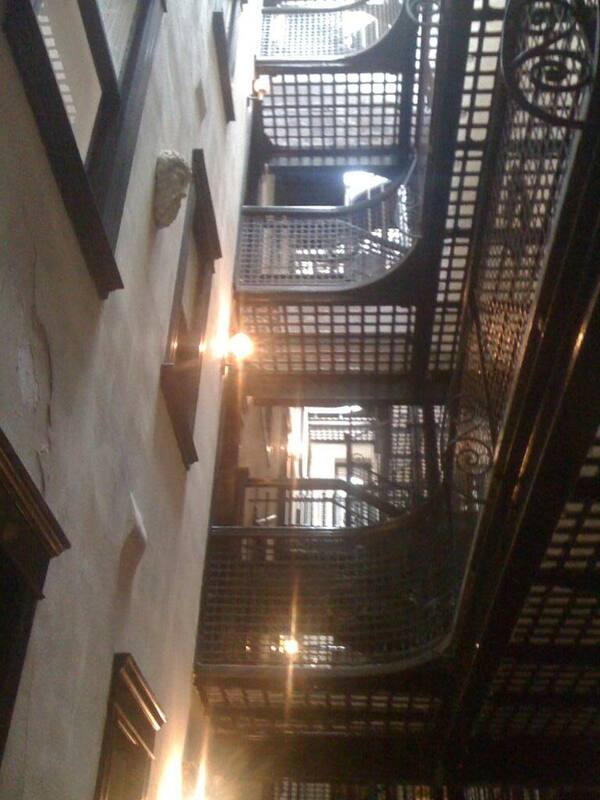 I went to Parker, as did my kids. 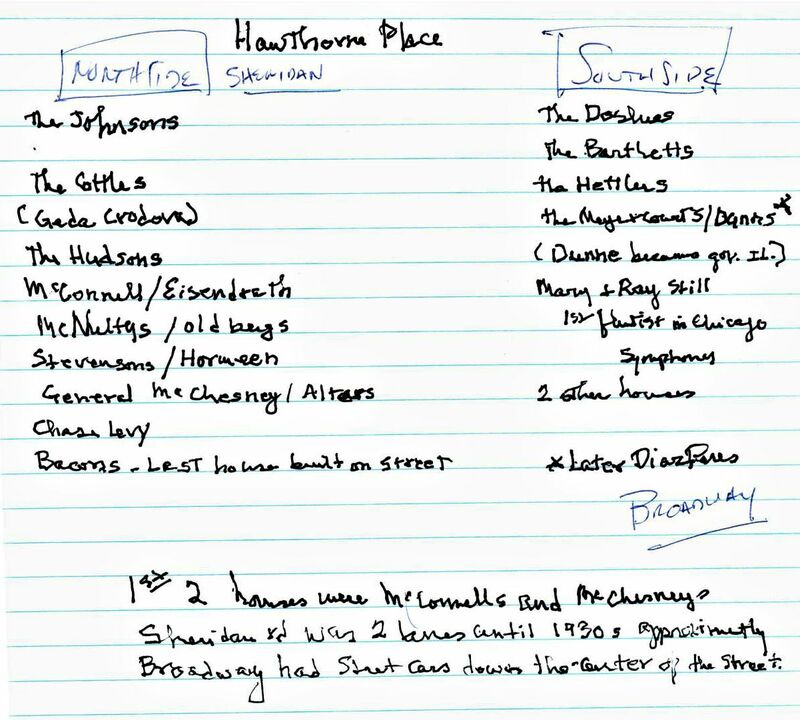 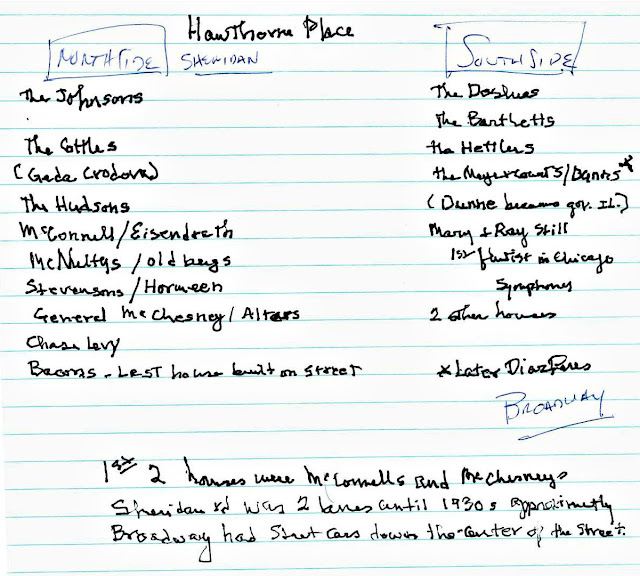 a list from Ms. E. Rosenbluth's of her neighbors and/or homeowners on the block. The list begins on old Sheridan Road (inner LSD) and ends on Broadway. Marion Eisendrath Rosenbluth, her daughter Jane Rosenbluth Baldwin, and I met at The Grill next to the Westin Hotel for lunch one weekday. 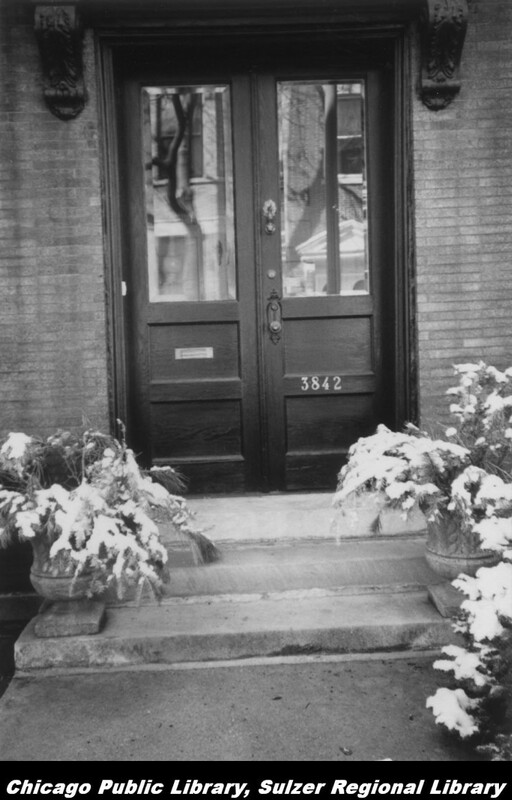 Ms. M.E. 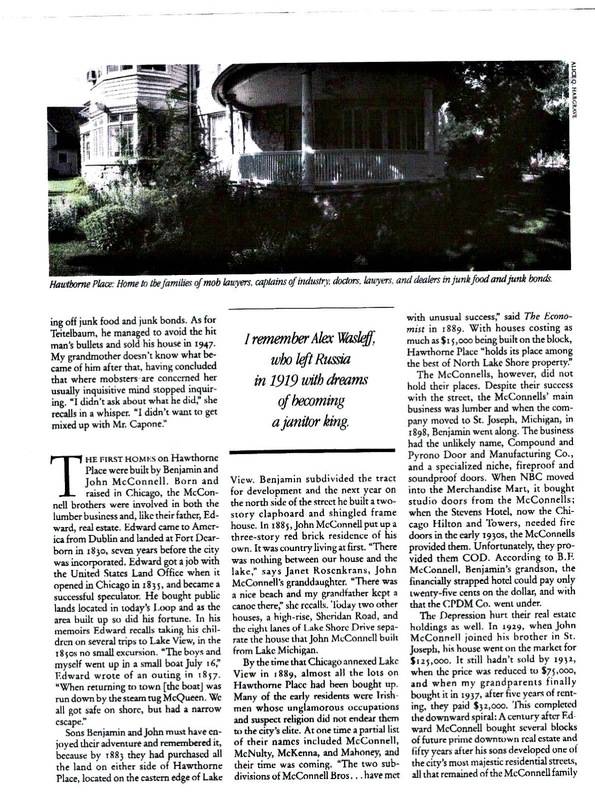 Rosenbluth was the focus on this particular interview with her daughter Jane supporting her mother with some memory tips during the course of our time together. 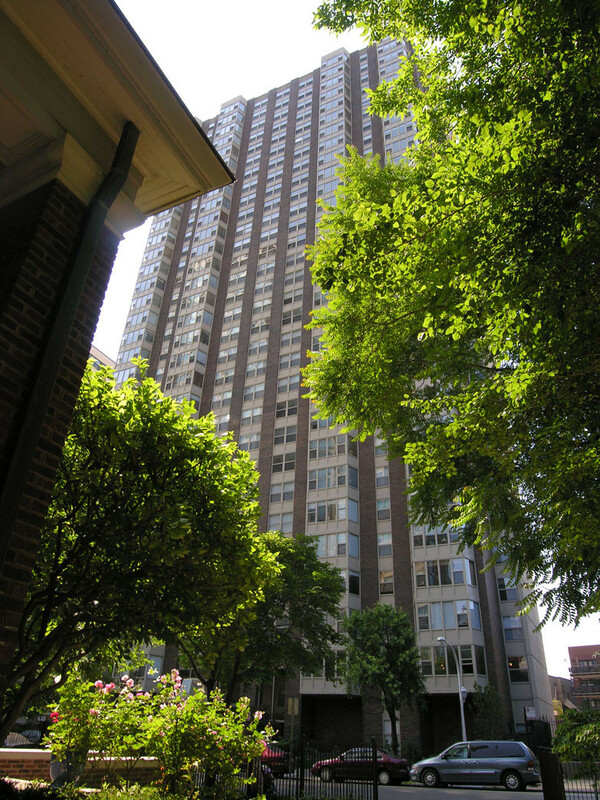 Ms. E. Rosenbluth, much like all the former and current residents of Hawthorne Place, are proud and strong-willed folks who had the determination to create their own unique futures. 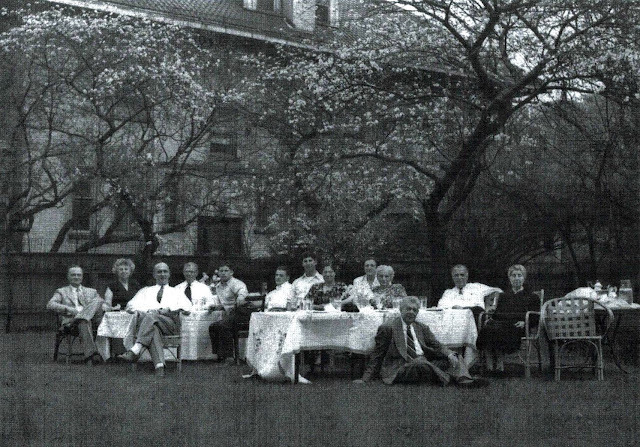 These folks of Hawthorne Place during the turn of the 20th century were titans of manufacturing or elite businessmen of Chicago. 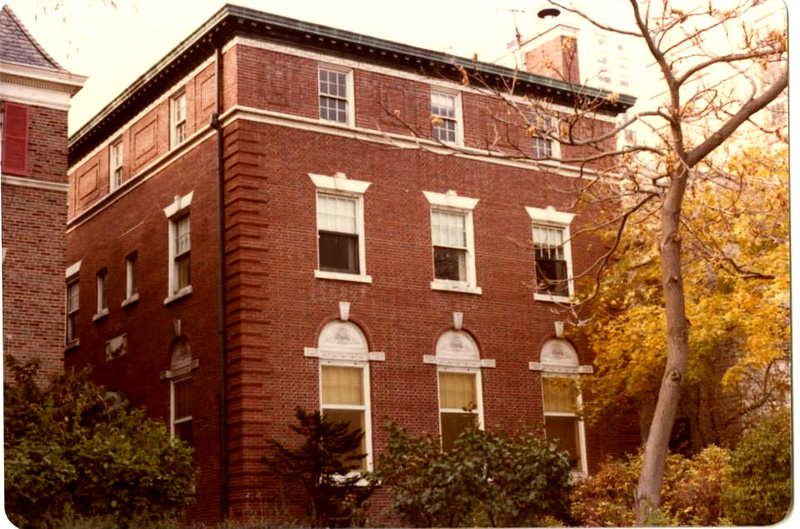 Although a good family name could allow Marion to enter and graduate from Francis Parker School her grades at Parker would later earn her a degree from Harvard in 1949 during time period women were meant to stay at home. 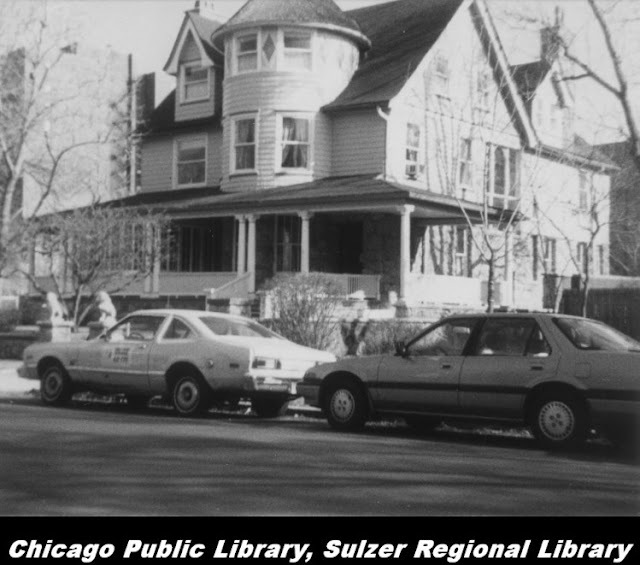 After raising a family she returned to college and earned a Phd from the University of Illinois in 1973. 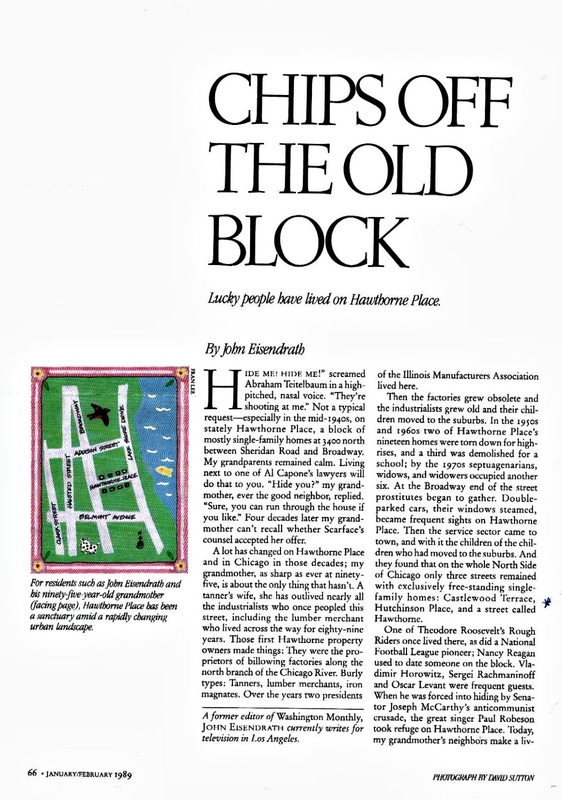 During the course of a ‘salad’ lunch she beguiled me with short stories that are mostly identical to this 1989 magazine article she provided me before lunch. 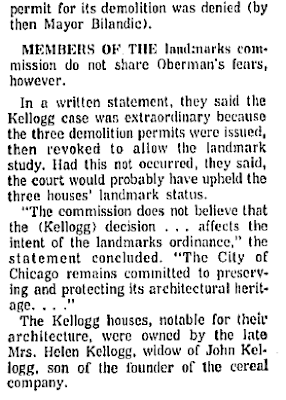 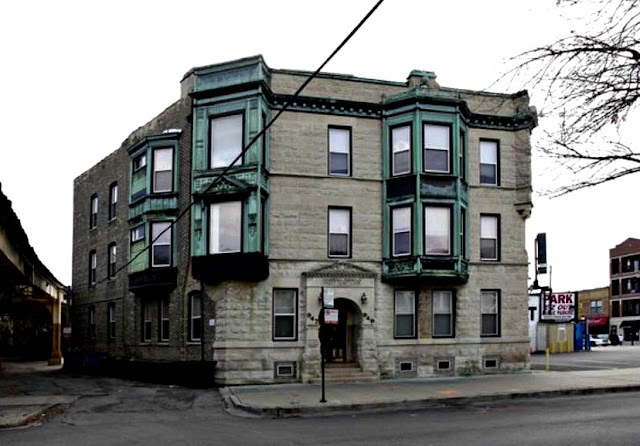 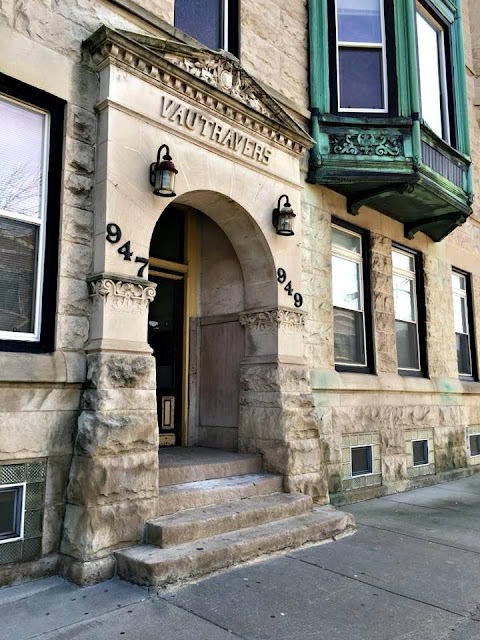 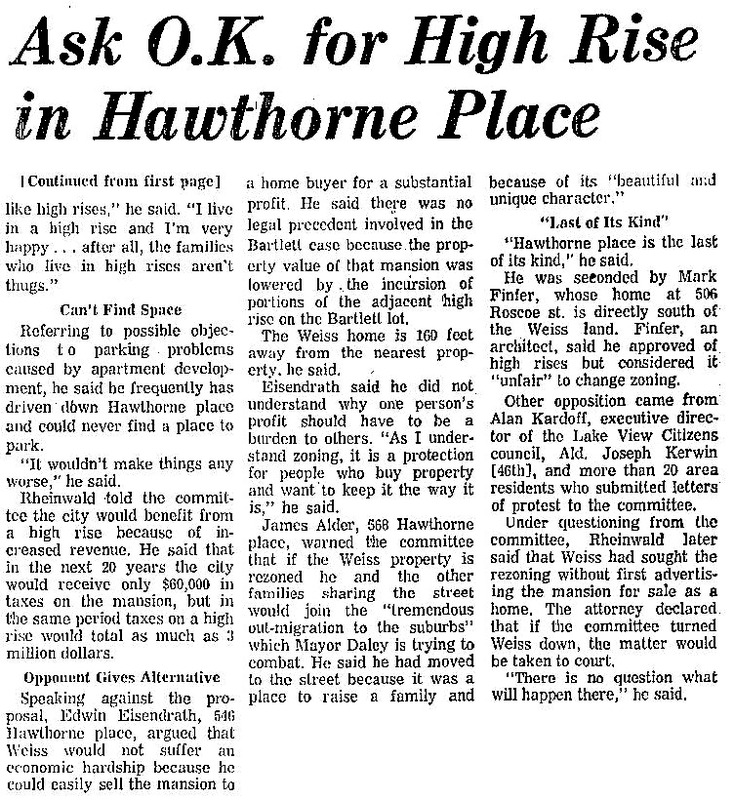 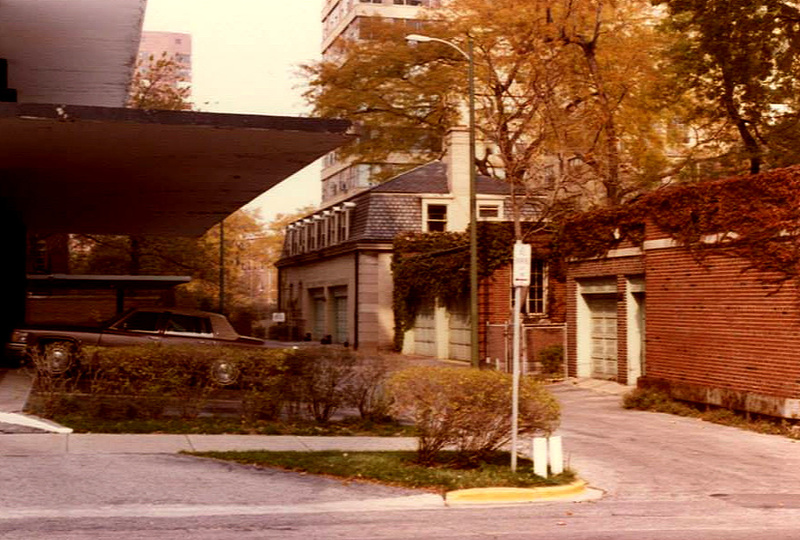 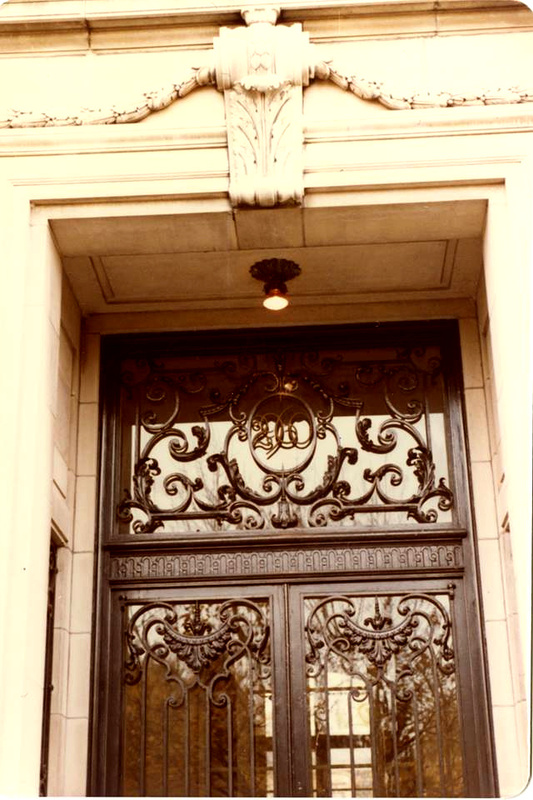 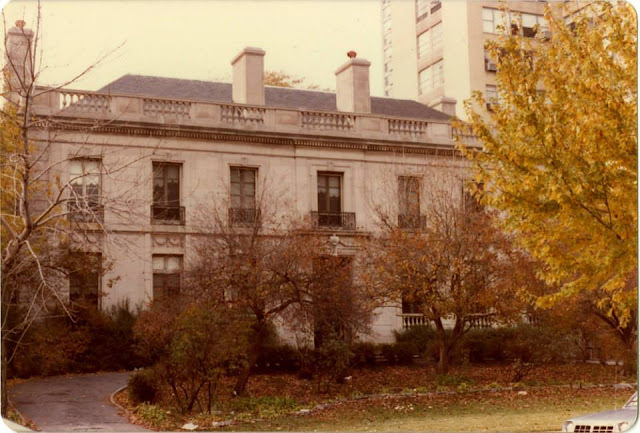 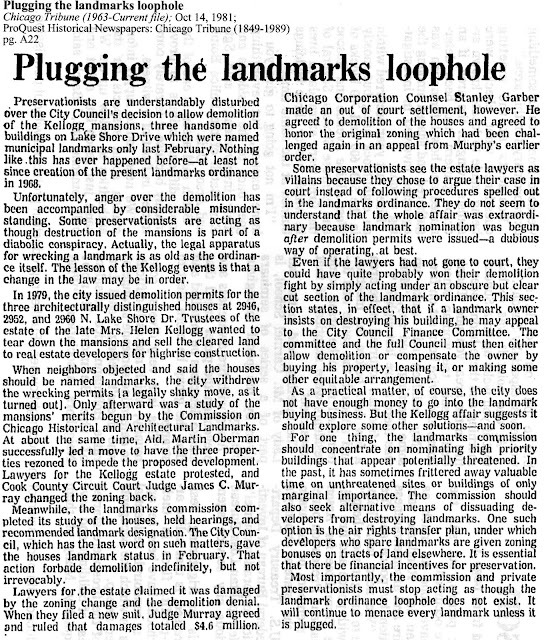 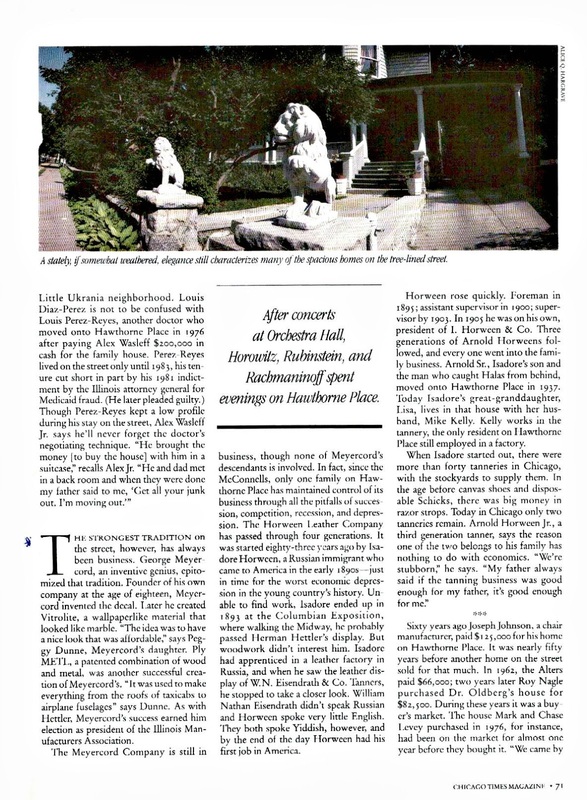 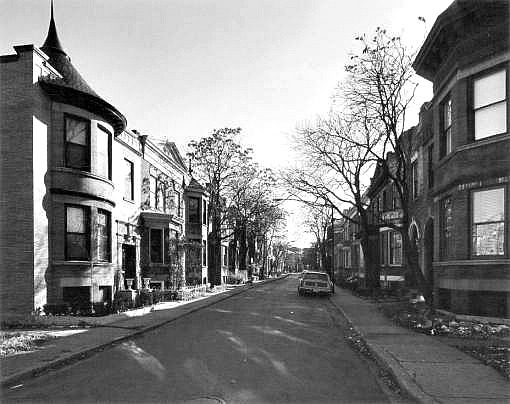 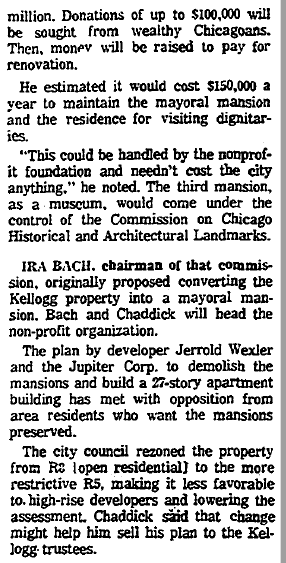 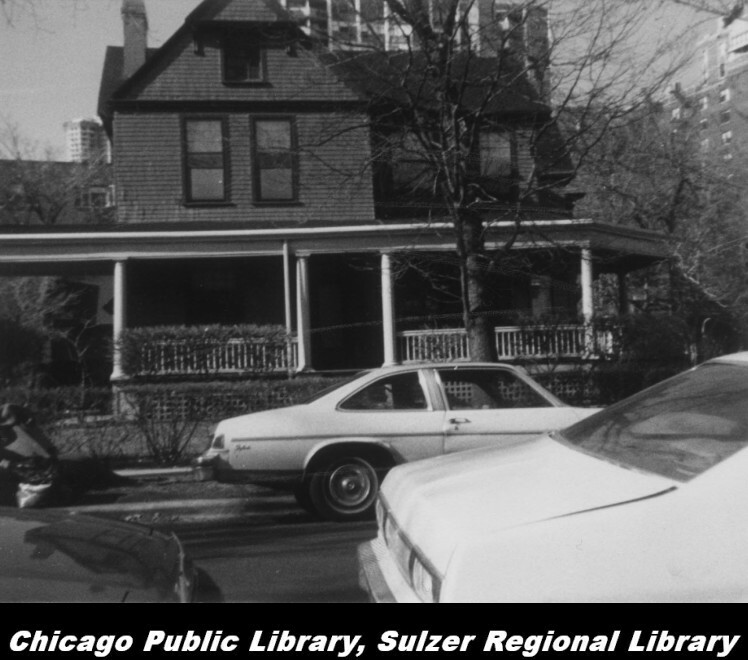 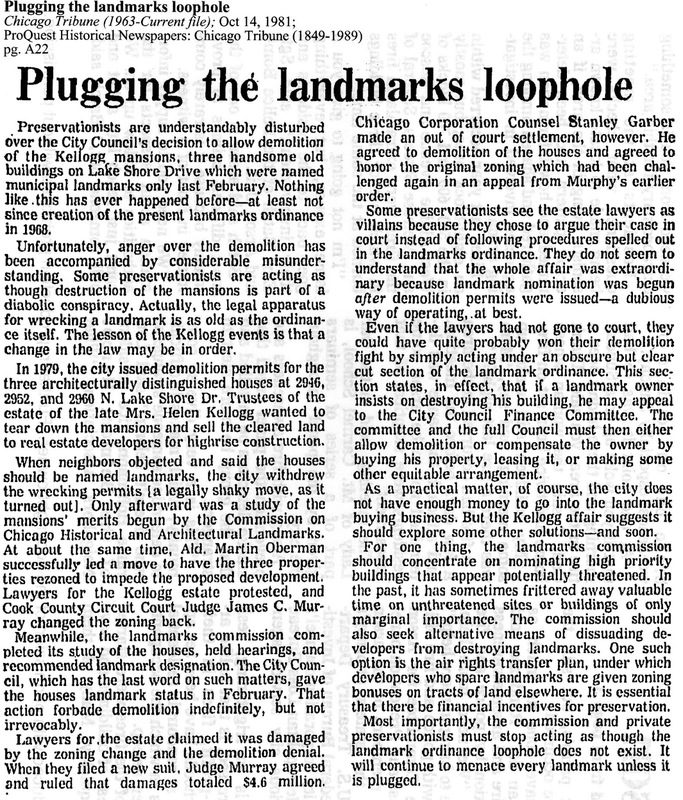 This magazine article was written by her nephew in 1989, seven years before Hawthorne Place received its historical due from the City of Chicago Landmark Commission. 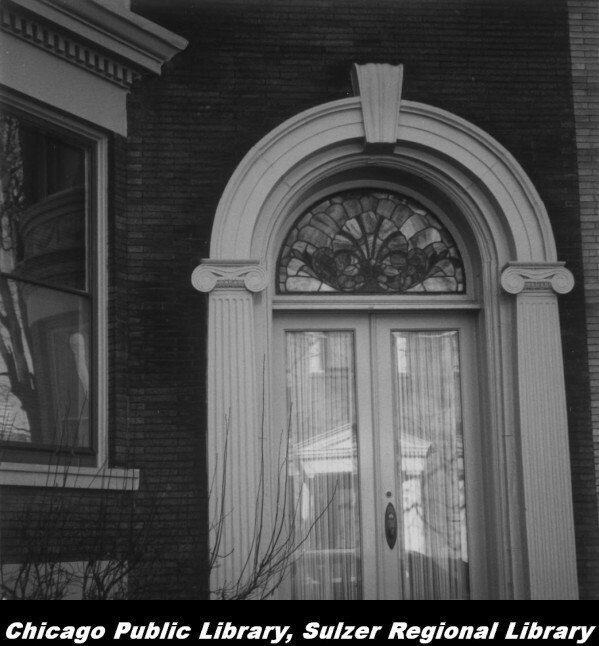 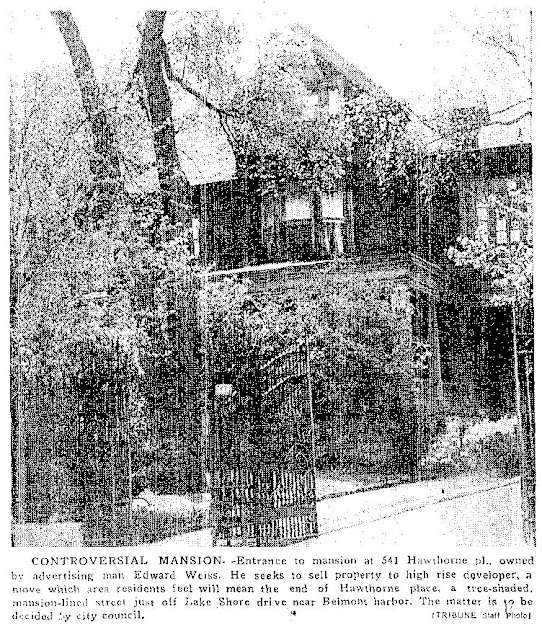 One story of interest not in the article was when her executive banker father needed to dismantle and replace the rotten the Queen Anne porch attach to the house. 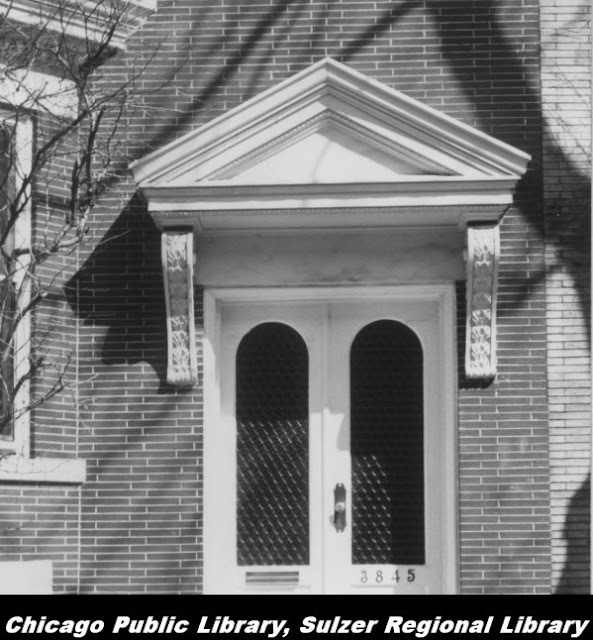 This was during the WWII years when rations were the normal along with labor and material shortages. 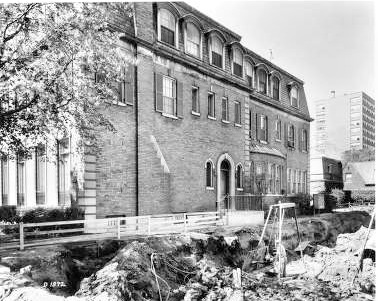 One day, to the surprise of family and neighbors and apparently, completely uncharacteristic of him, Marion’s father took on the task of porch removal on a residential block where everyone had their own private staff to maintain their homes & properties. 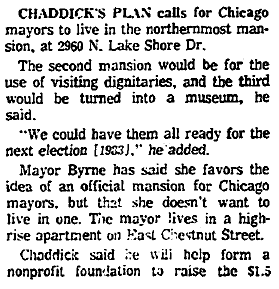 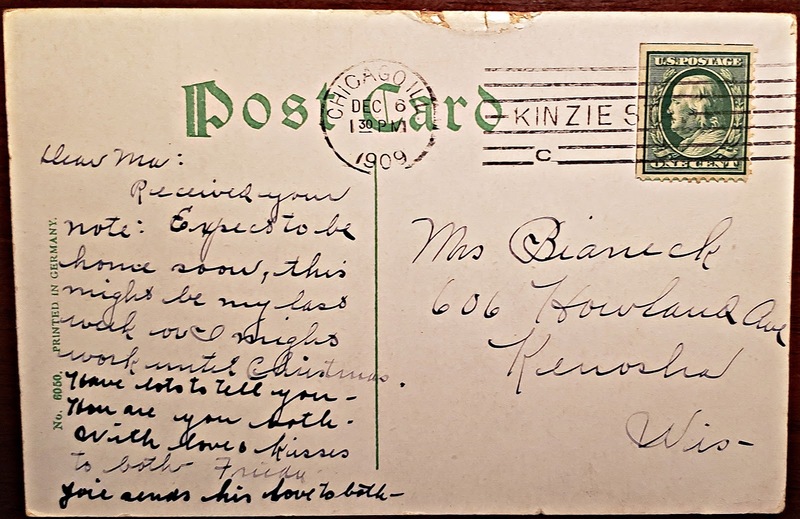 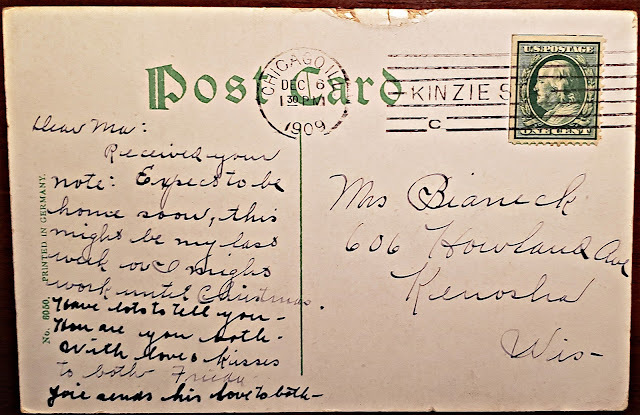 In fact, Marion recalled that her parents had their own live-in laundress, landscaper, and a chauffeur named Fitz. 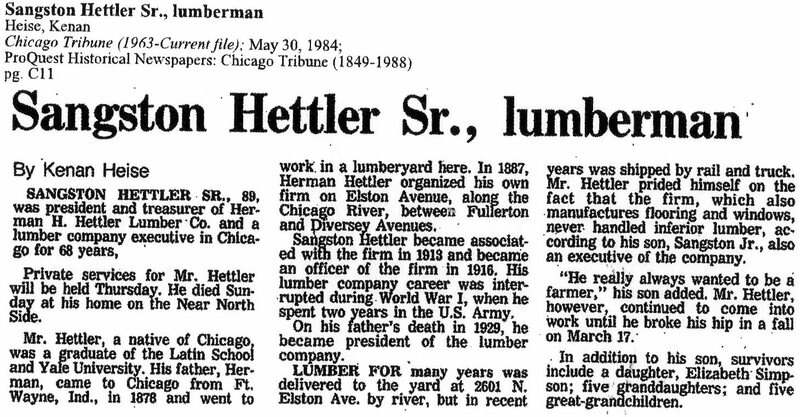 Her father project apparently raised a few eyebrows during the course of his project. 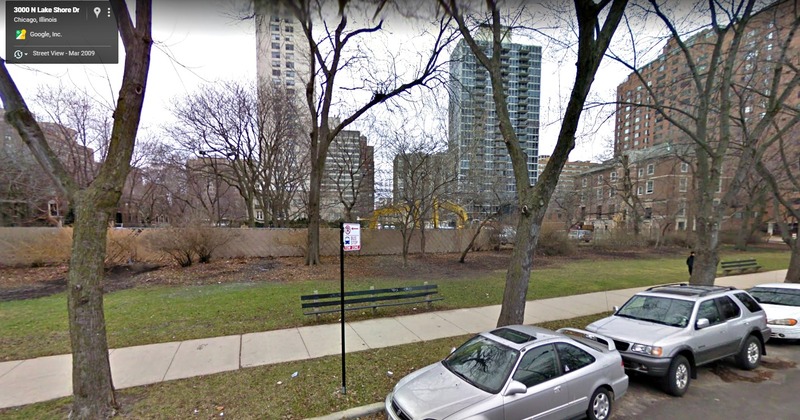 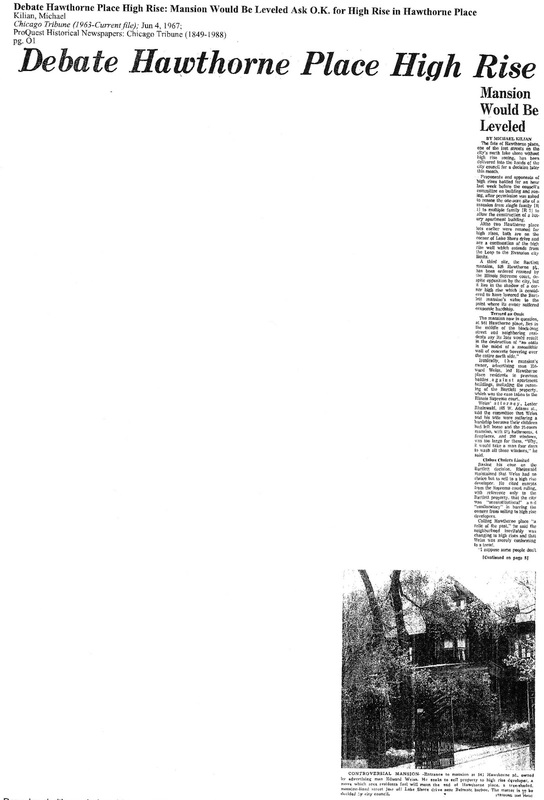 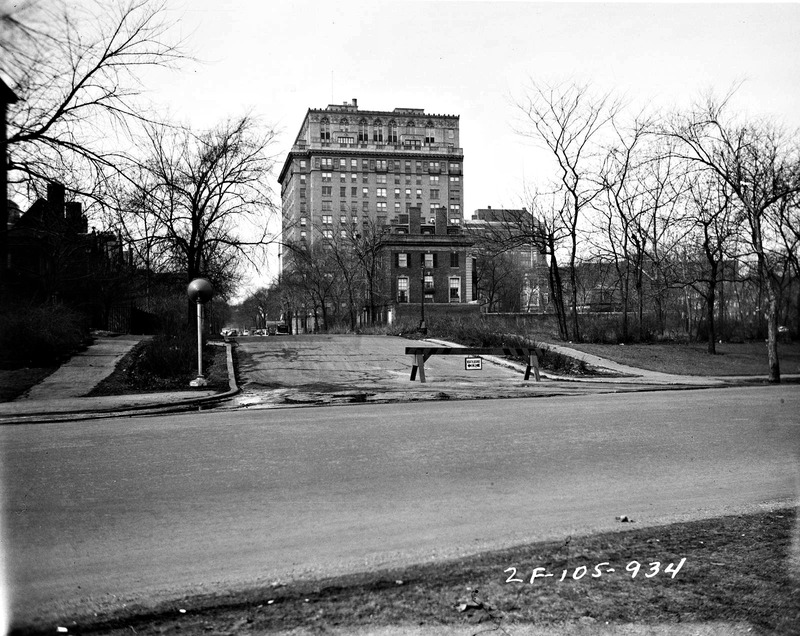 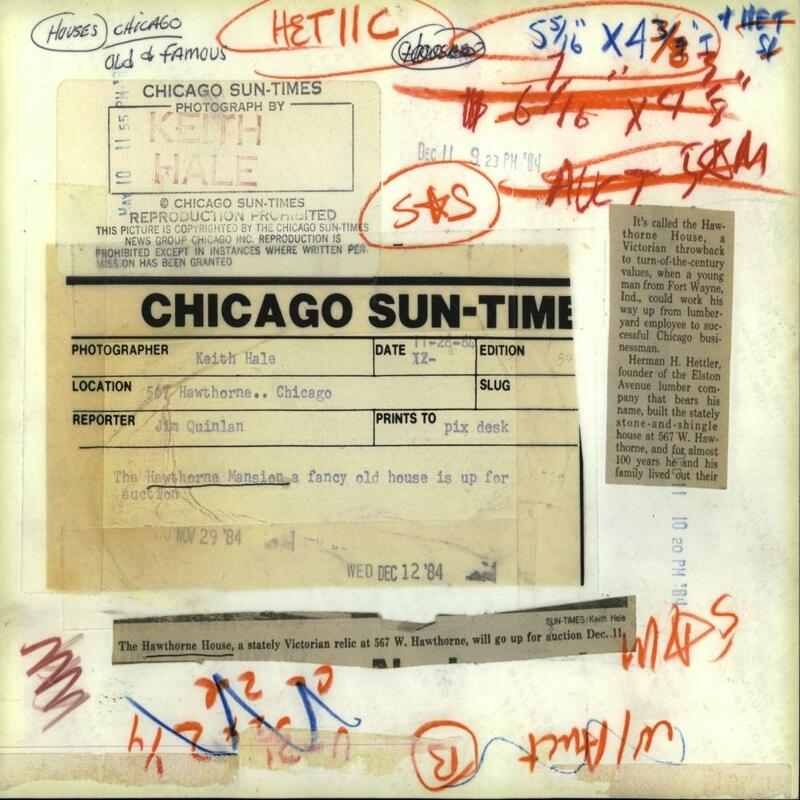 Also during the course of our three hour salad lunch interview Marion and Jane mentioned that 'their world' existed east of Broadway Avenue, south to Hyde Park while traveling along Sheridan Road or Lake Shore Drive to visit the extended family on Drexel Avenue. 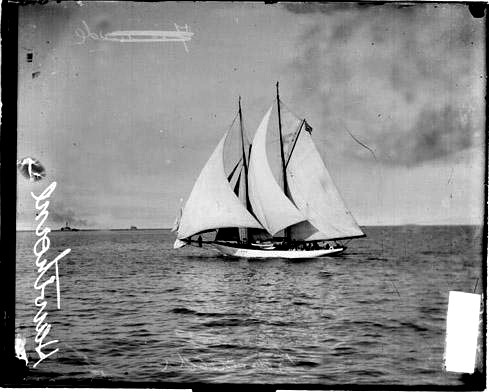 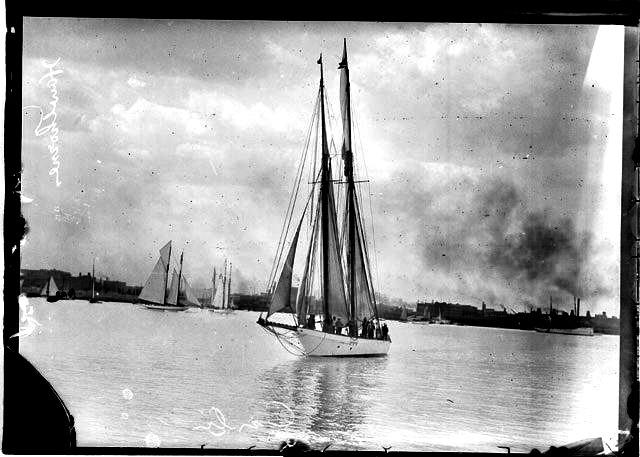 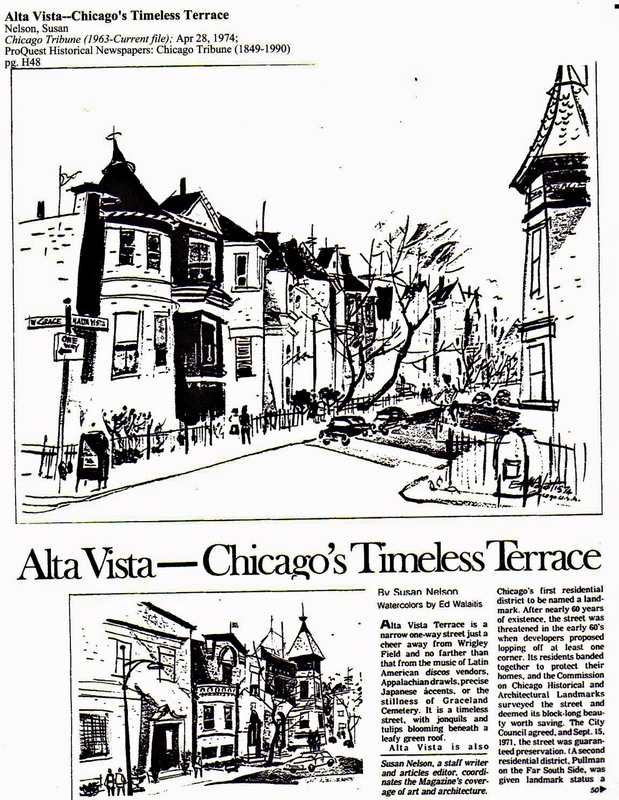 Any mention of places western Lake View did not strike any memories. 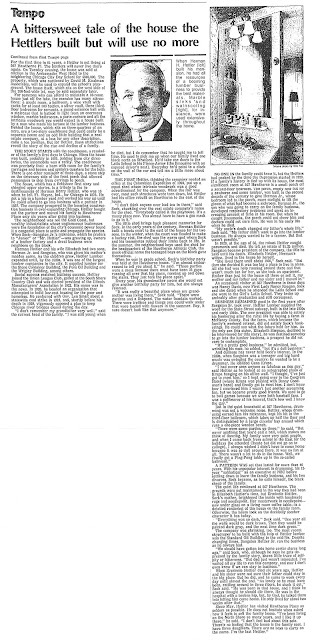 Luckily, most of the short stories Marion mentioned are within her nephew's article – a most entertaining piece. 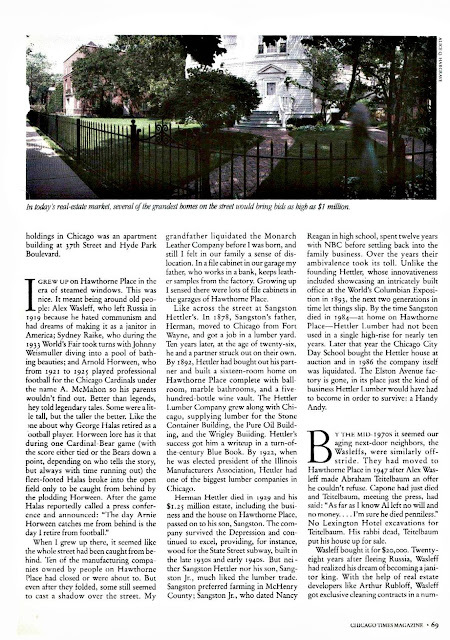 I hope my second interview will be with the daughter, Jane Rosenbluth Baldwin. 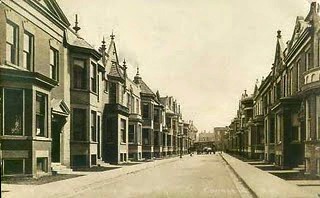 Jane has memories with her mother Marion and her neurosurgeon father living their own lives on east Barry Avenue in their own stately home. Her stories are from the 1970’s and 80’s during the time of New Town and those 4+1’s that all must re-invented their block. 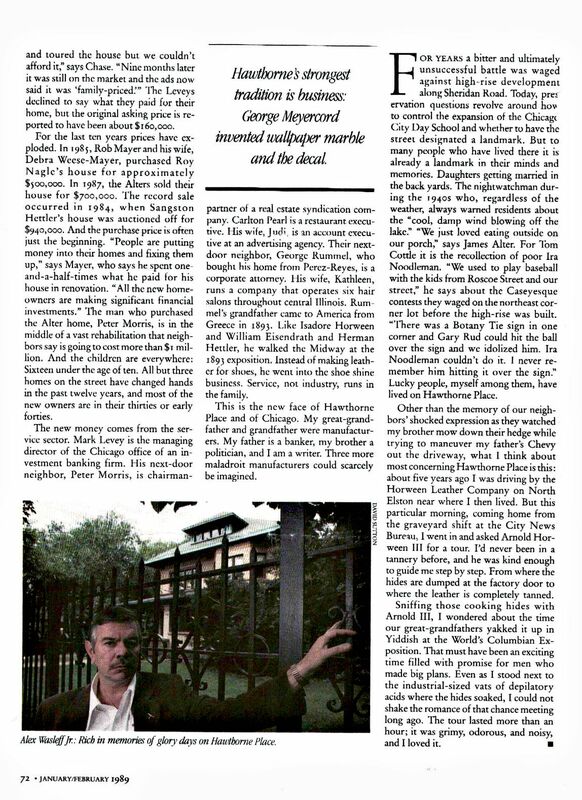 I hope my narrative of this interview is worthy of these grand & elegant memories and adds to the depth of this blog post. 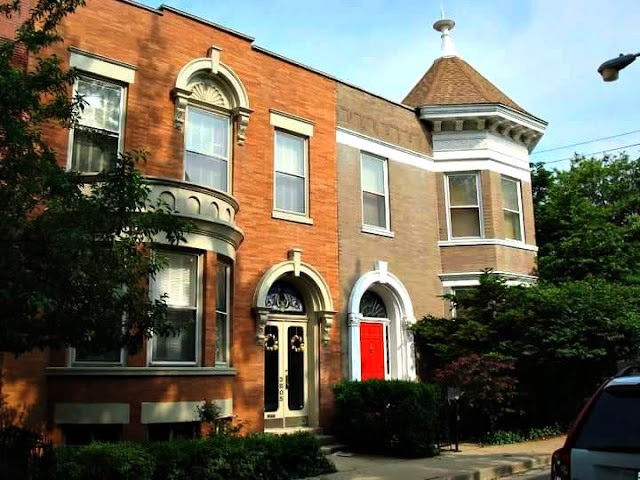 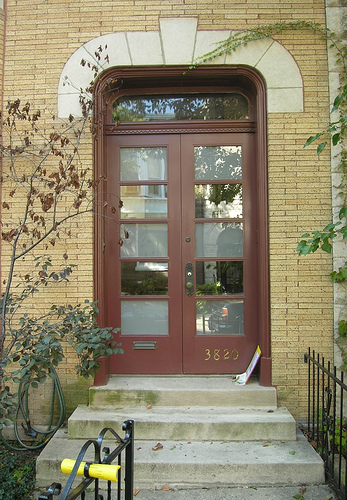 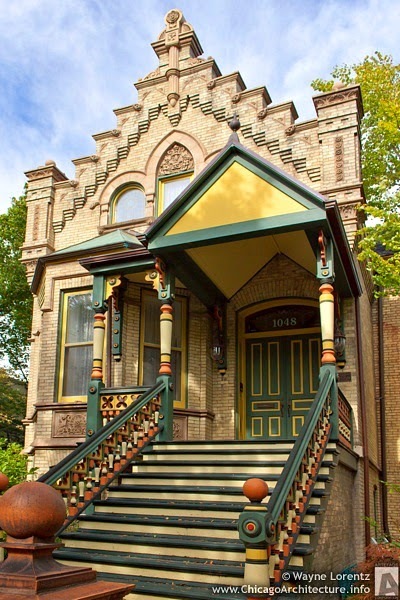 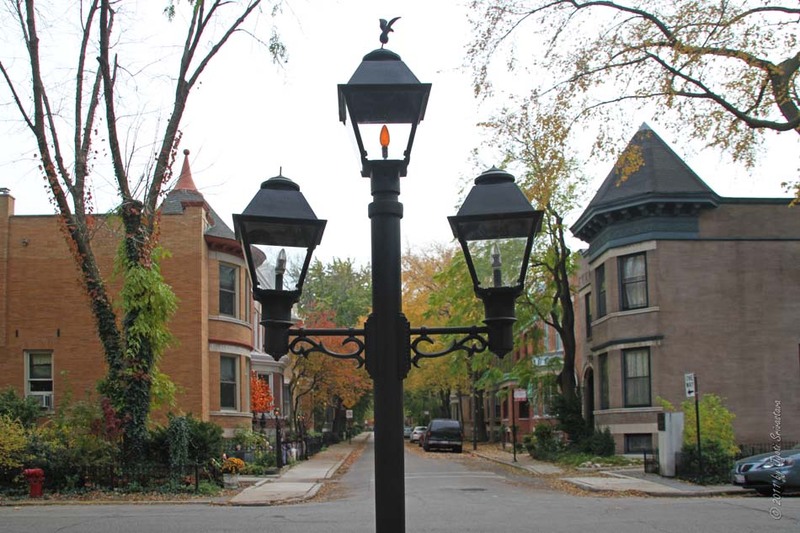 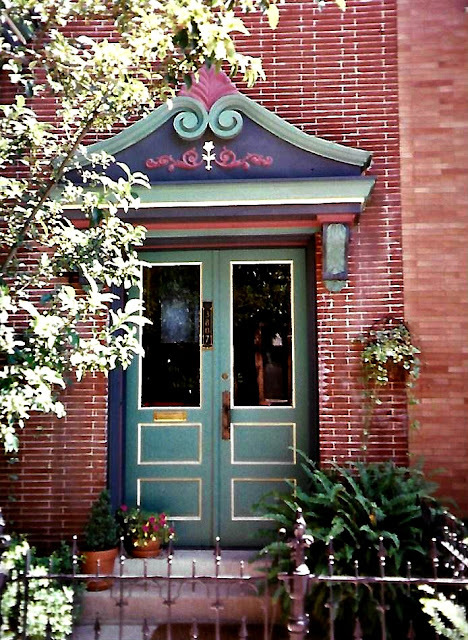 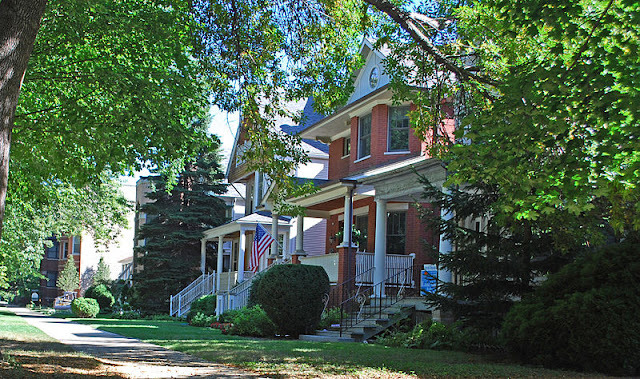 The Alta Vista Historical District is a another historic district located in Lake View. 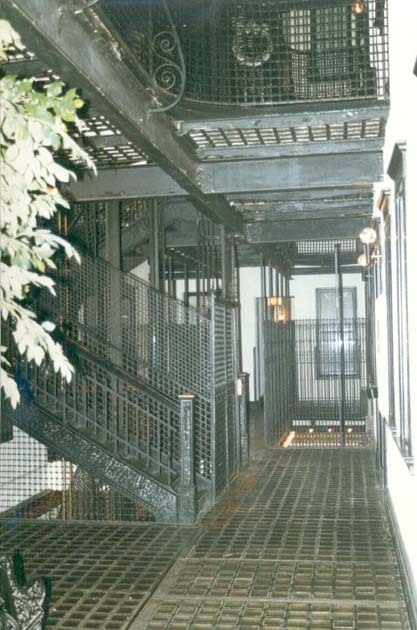 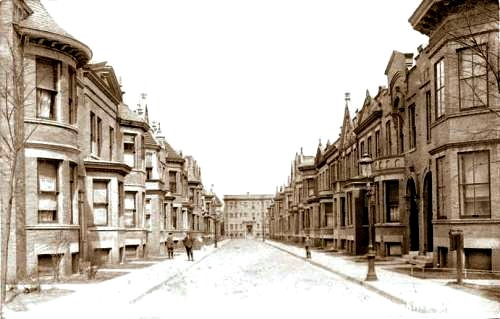 The development was built in 1900-04 as an replica of the row-house style community within London called Mayfair. 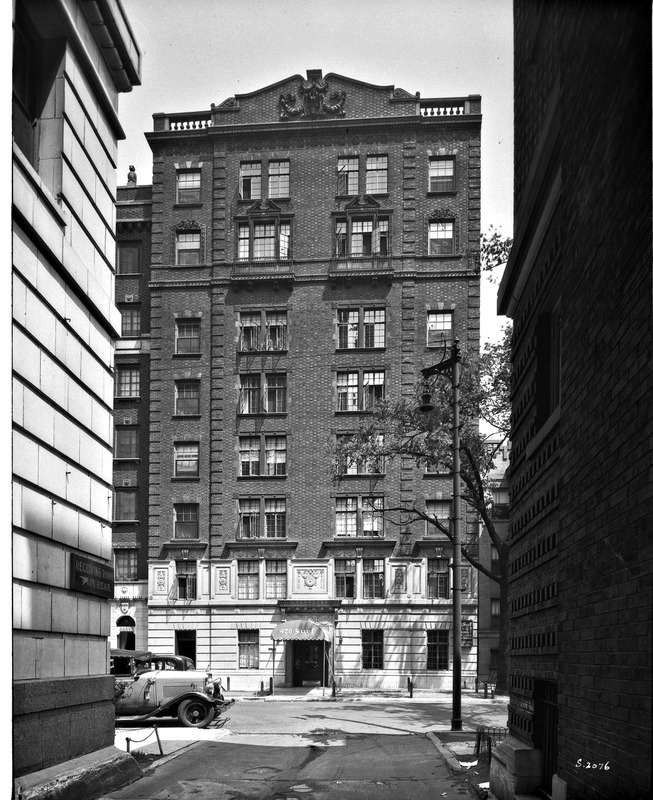 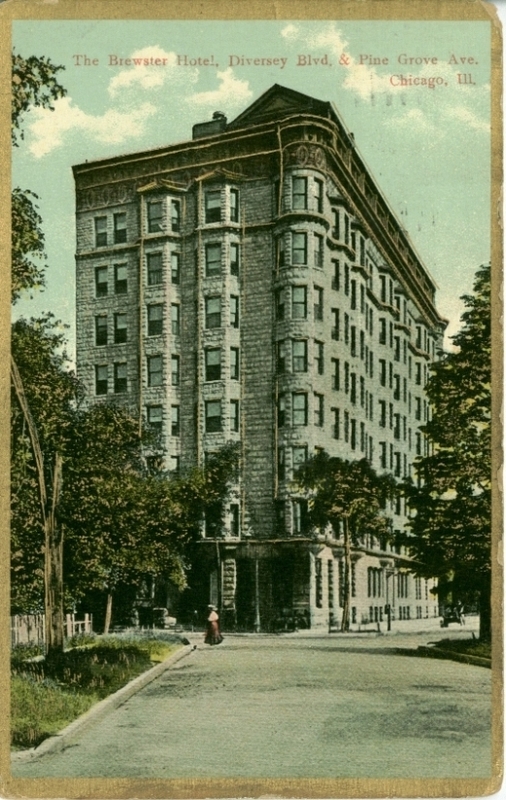 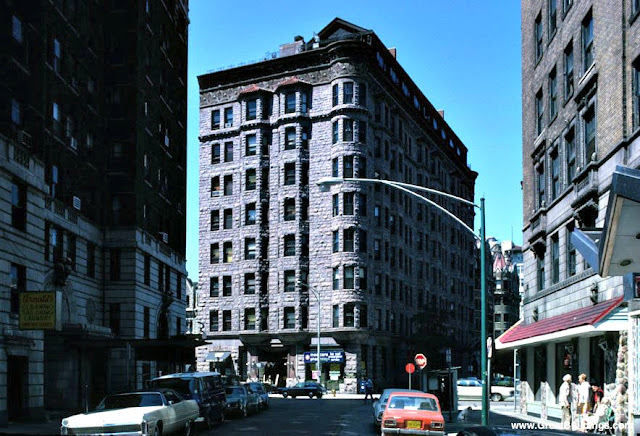 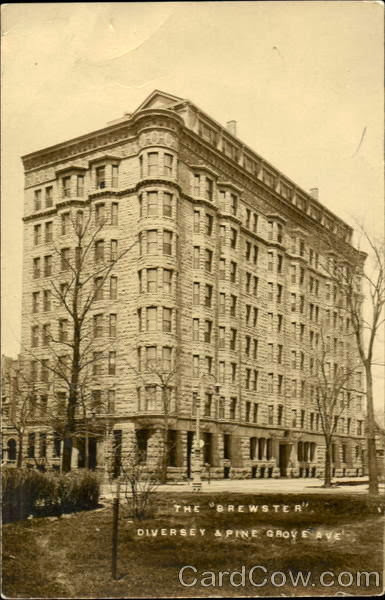 The development was the dream of real estate developer Samuel Eberly Gross, who after a visit to Mayfair felt inspired to duplicate the style. 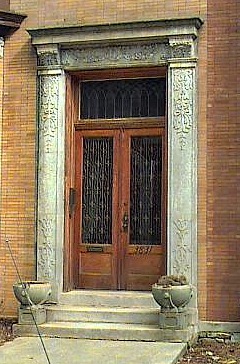 J.C. Brompton was the architect of most of the buildings on the block. 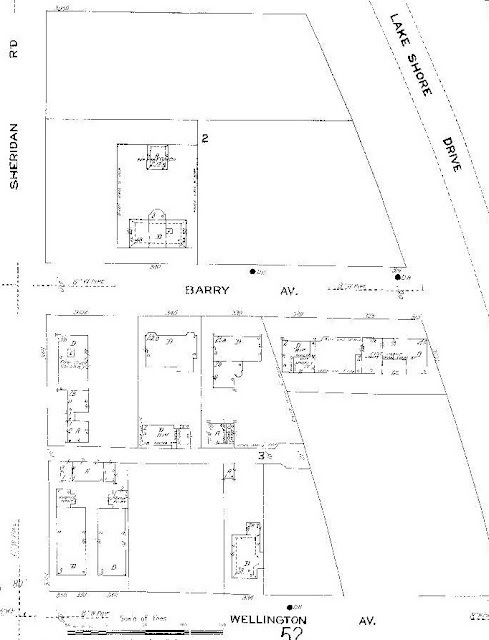 The block is located 3800 north and 1050 west. 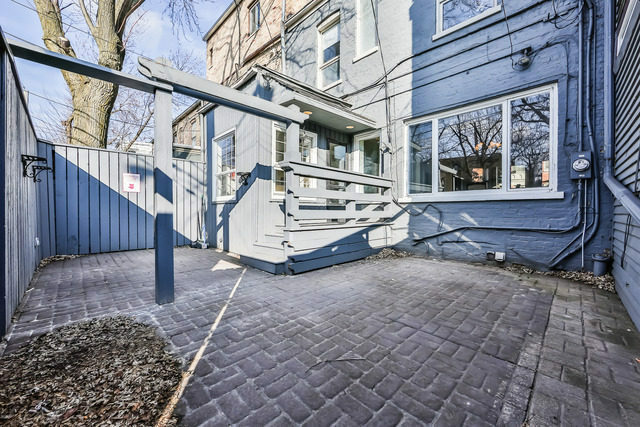 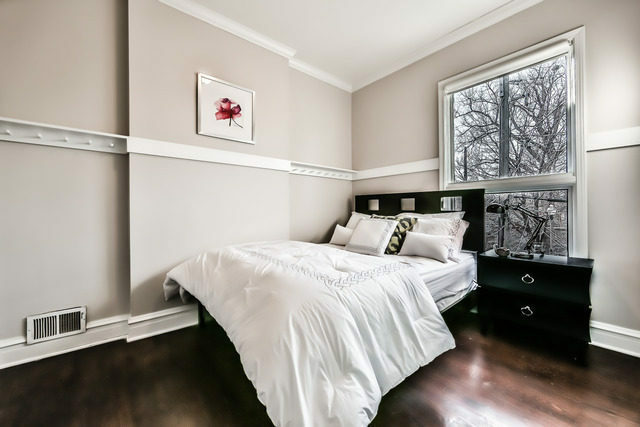 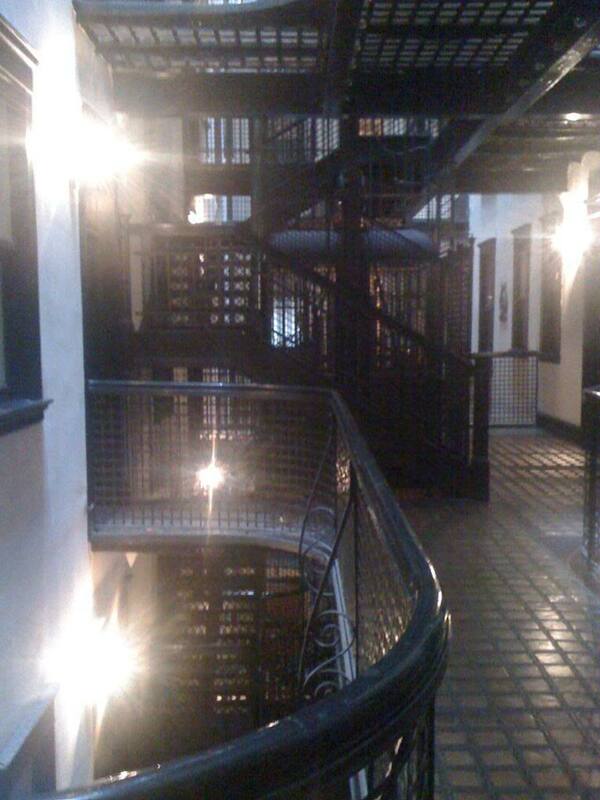 An inside look @ this building for sale! 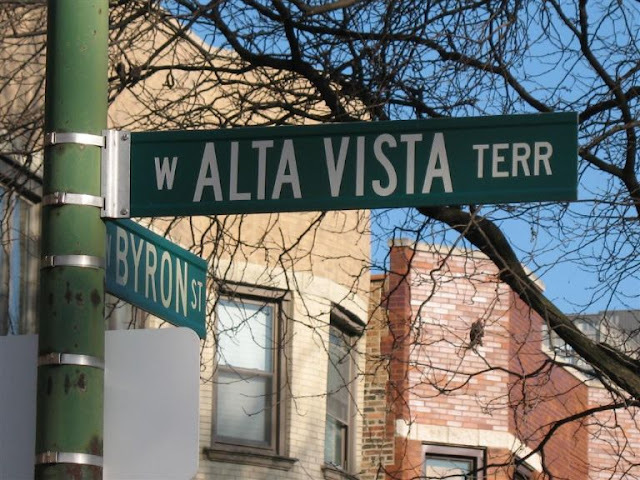 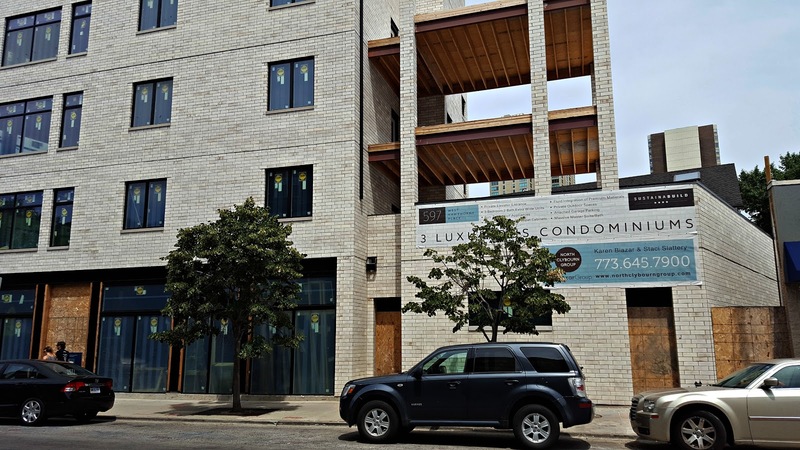 2012 It would appear that Alta Vista may soon have a modern rival in the community of Ravenswood, neighborhood of Lincoln Square. 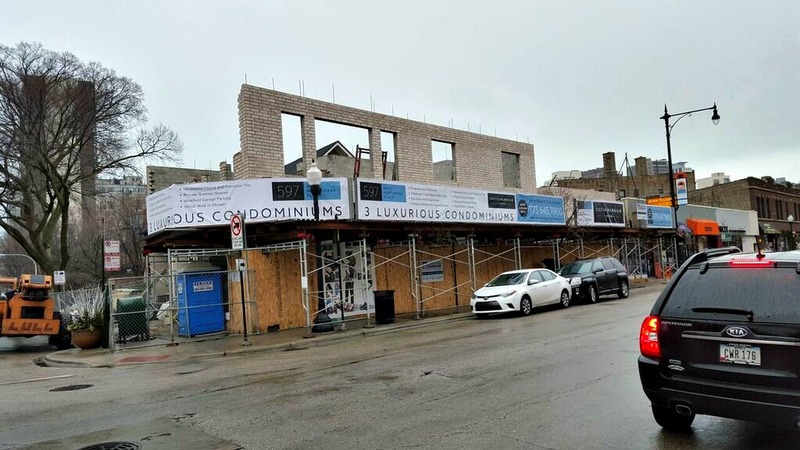 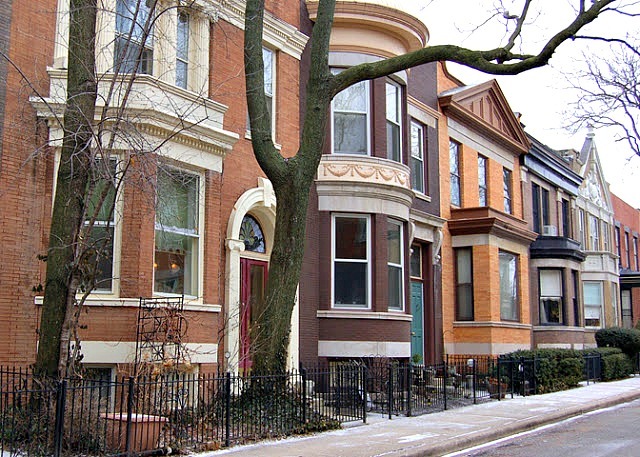 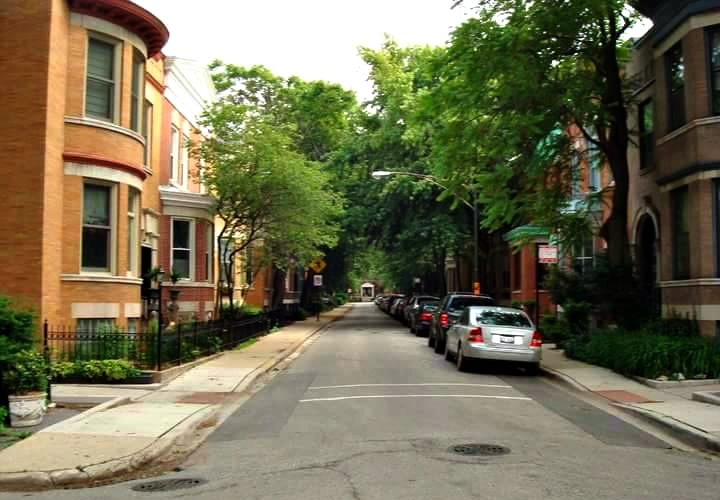 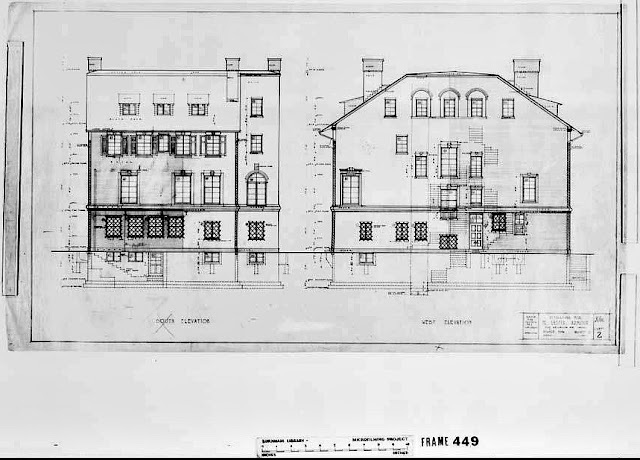 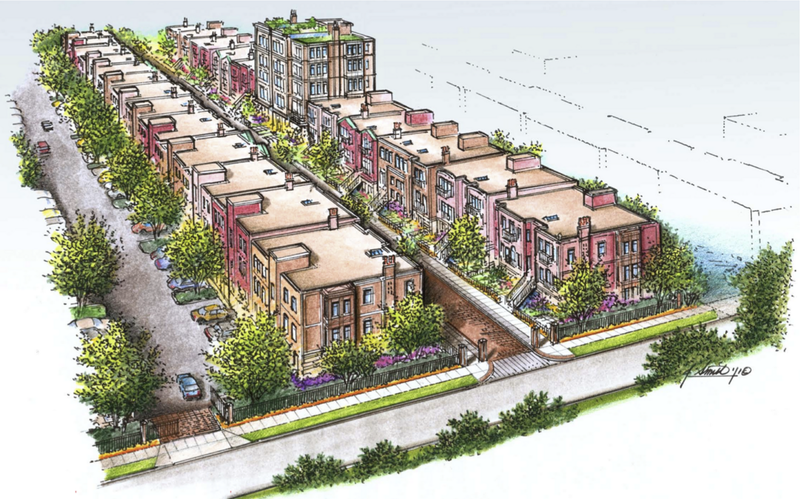 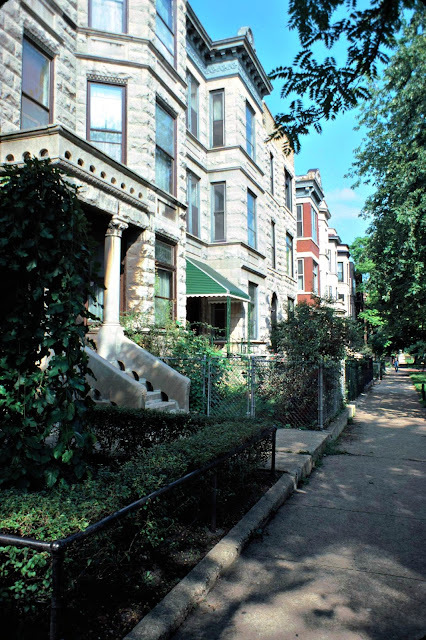 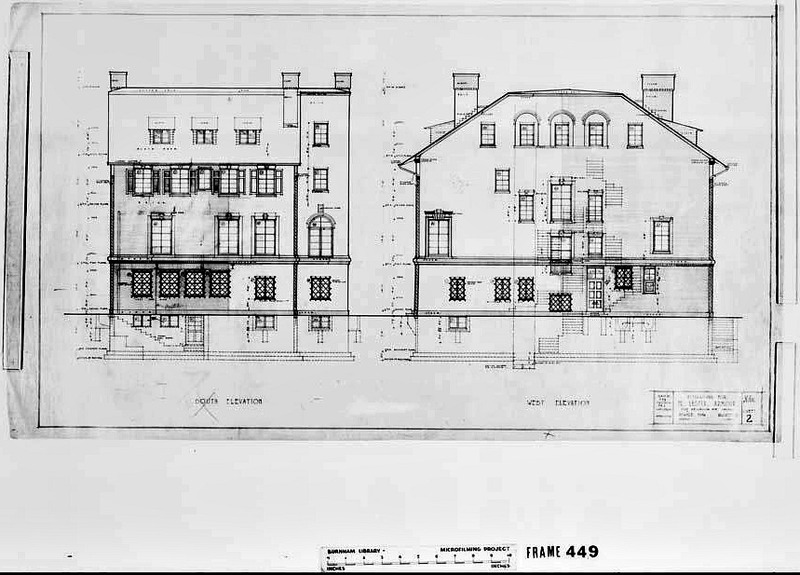 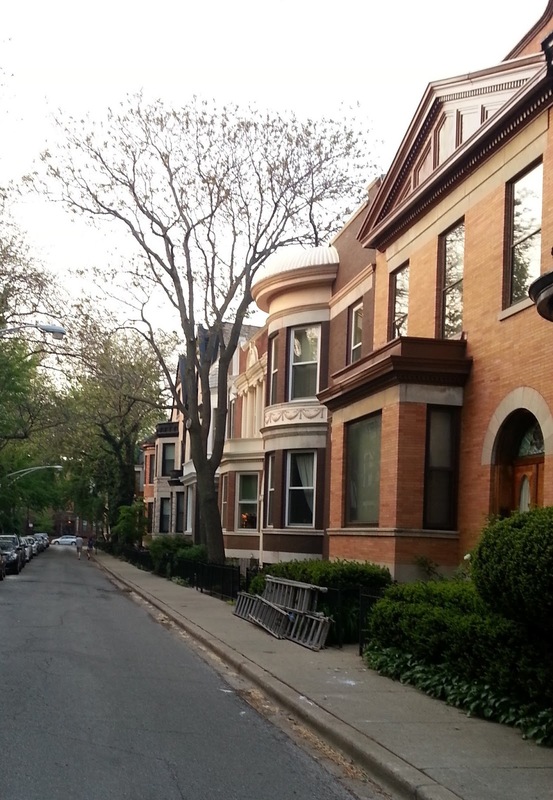 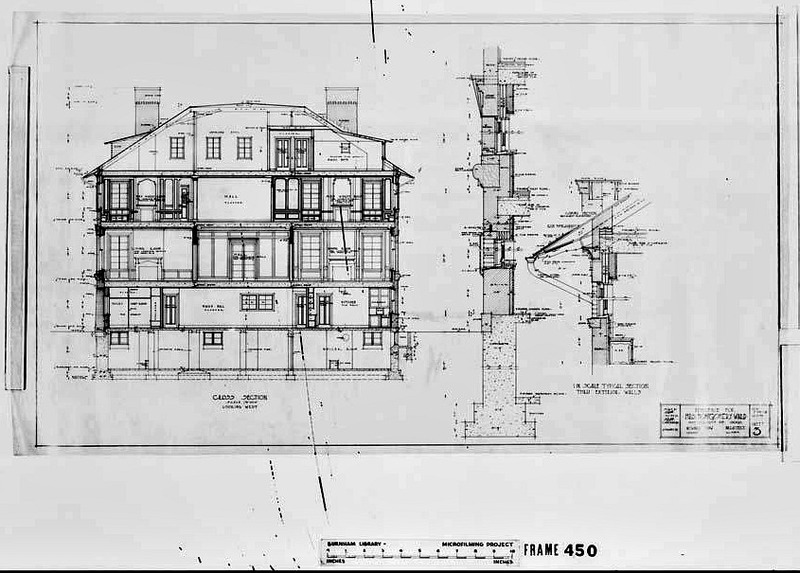 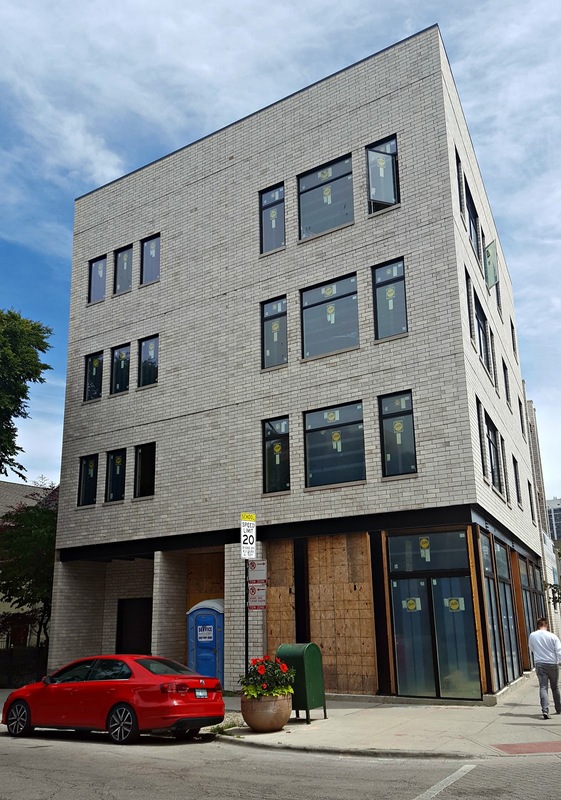 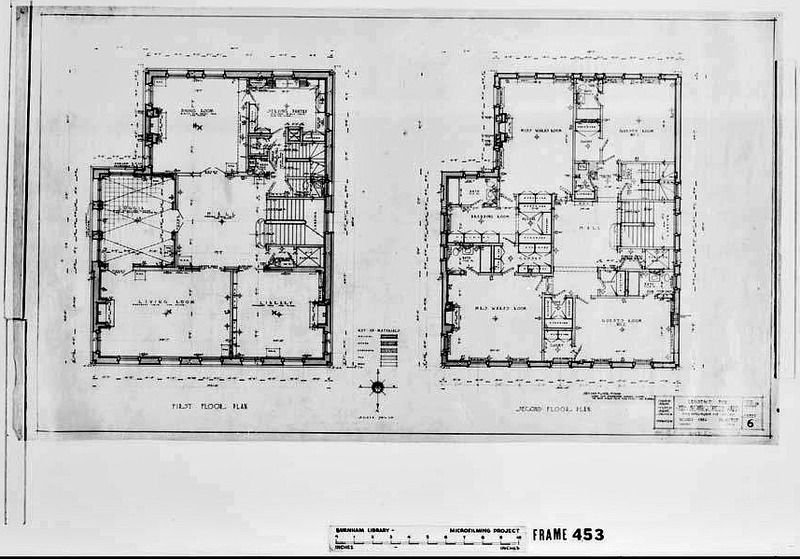 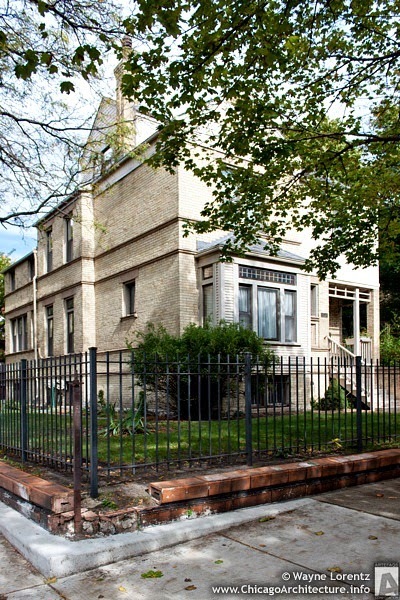 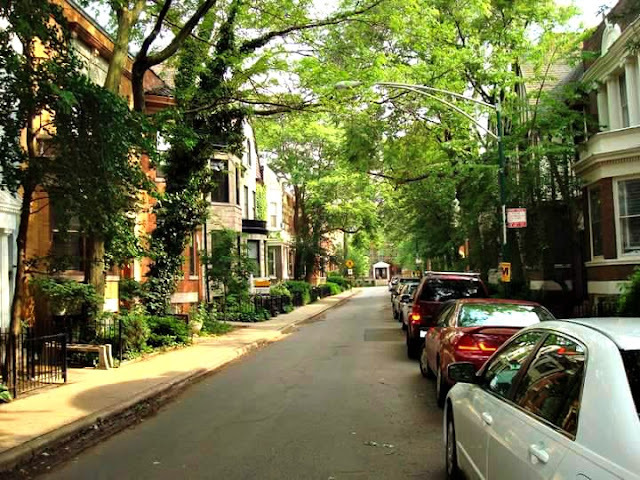 The plan for this community will be to try to "mimic the scale and intimacy" of Lake View’s historic district with two rows of three-story six flats facing each other, separated by a boulevard-ish roadway to be called Ravenswood Terrace located near Ravenswood West Avenue and Lawrence. 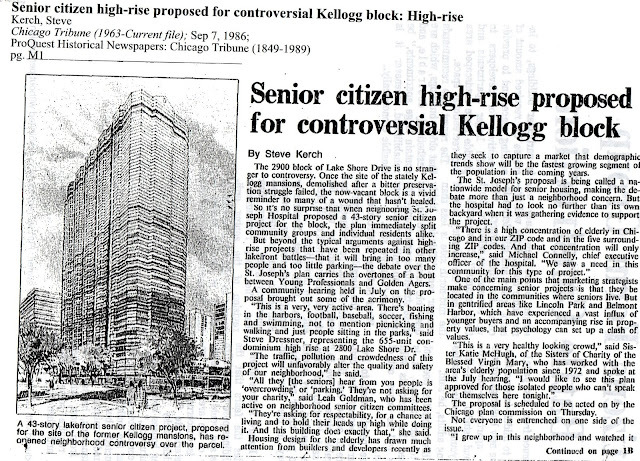 Here is a view the video of this project when it was a planned development. 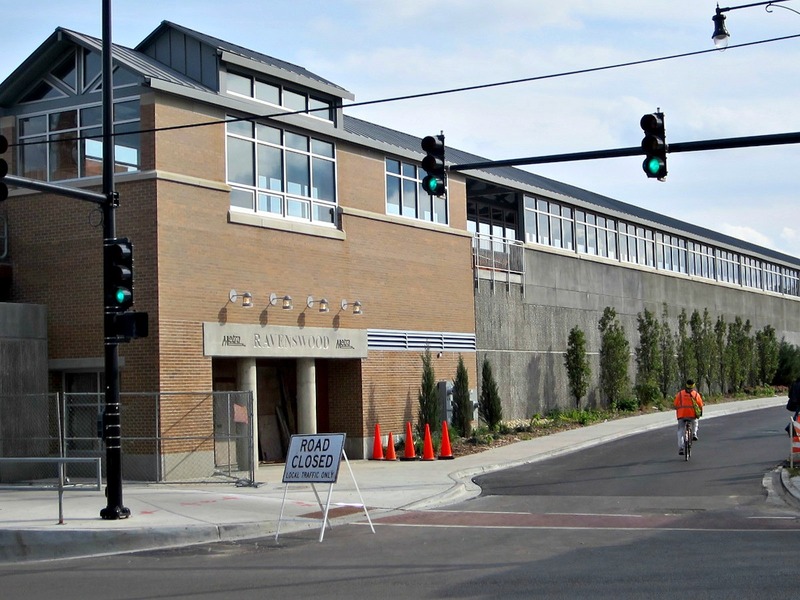 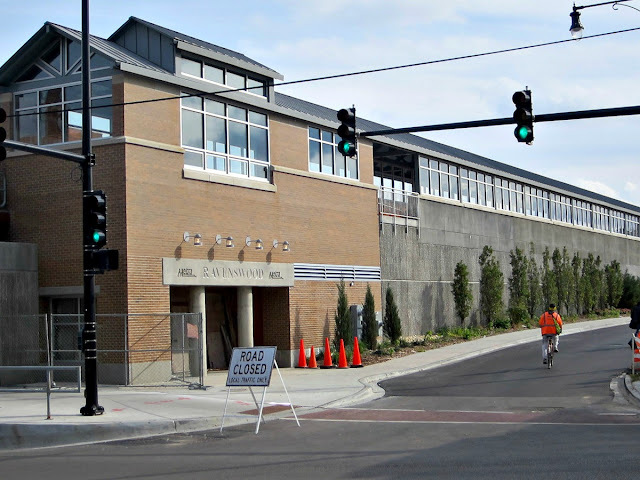 Next to this new community is the Ravenswood Metra with a new facility for the modern commuter in mind. According to David Daruszka of the same website, this station was originally at grade level. 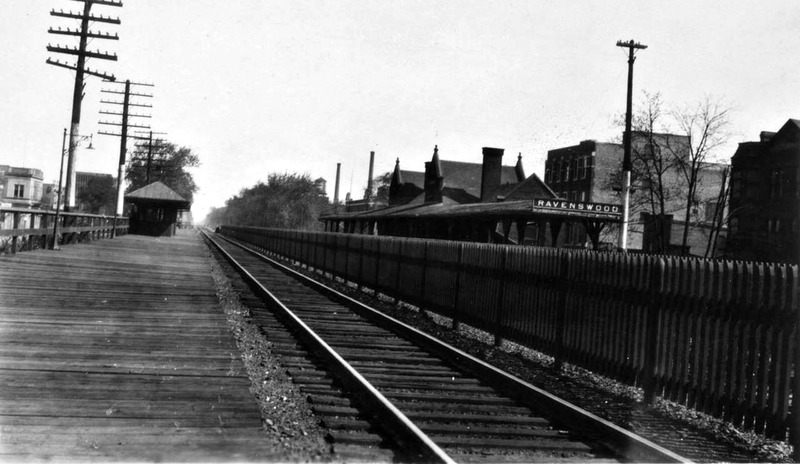 The C&NW elevated the station on a new foundation when the tracks were raised per city ordinance in the end of the 19th century. 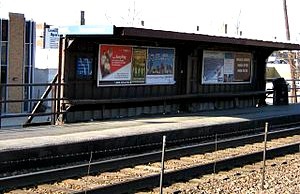 when the old station was just a platform before the new station. 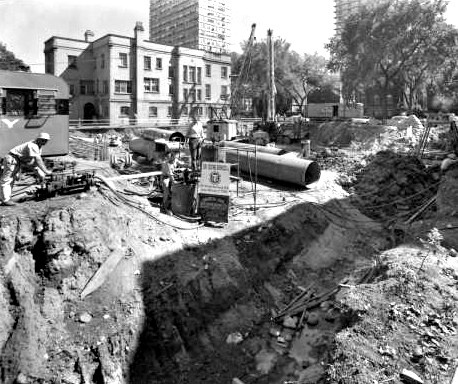 The station was by the mid 20th century demolished by the C&NW to save costs. 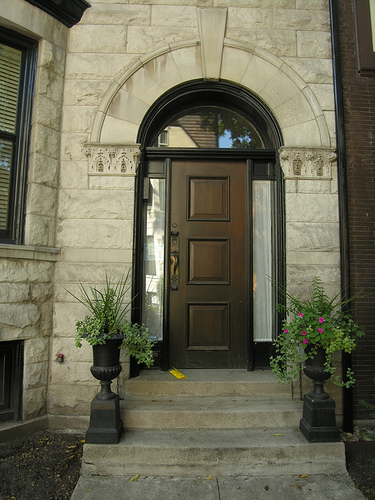 The C&NW's accounting office was located at this stop. 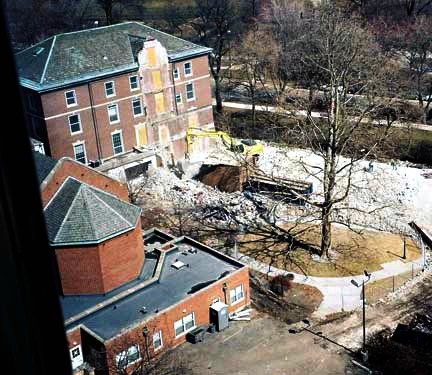 The building still stands. The National Register of Historical Places designated this community as a landmark in 1991. 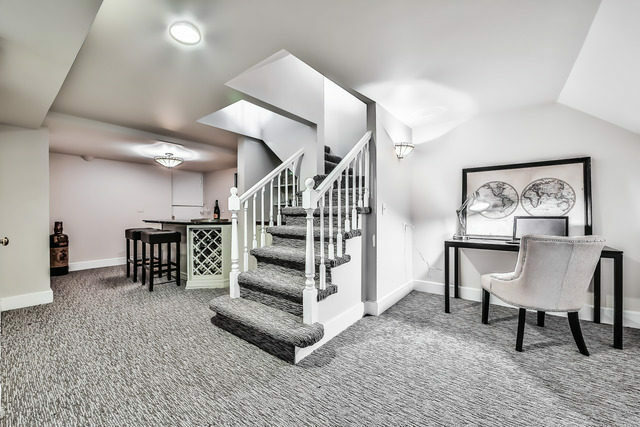 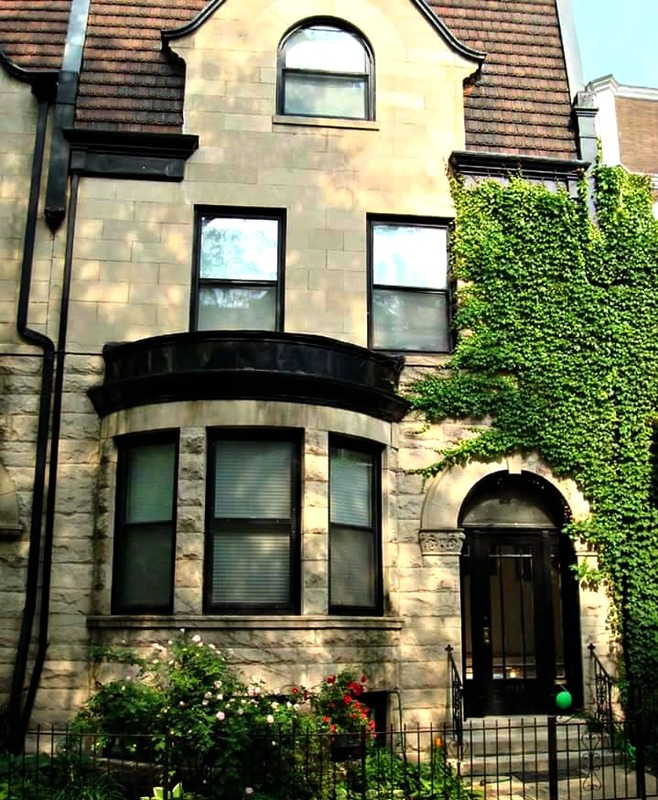 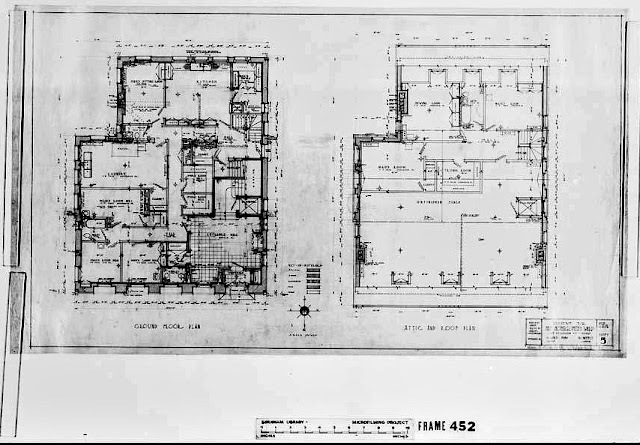 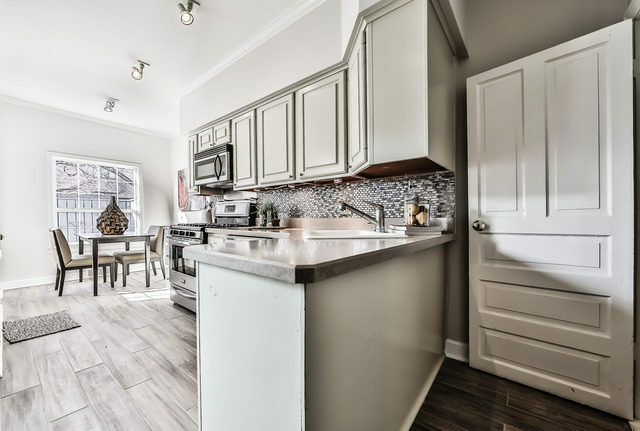 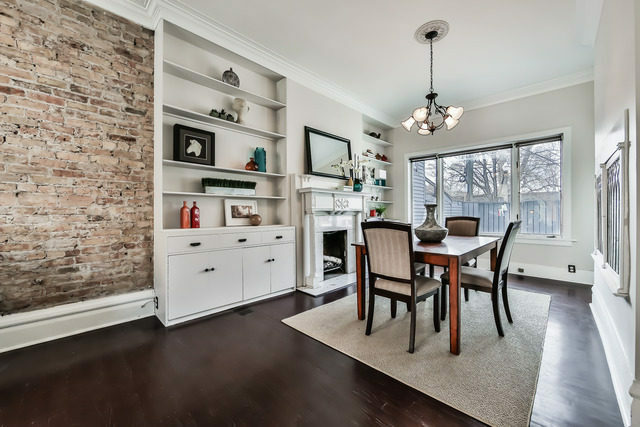 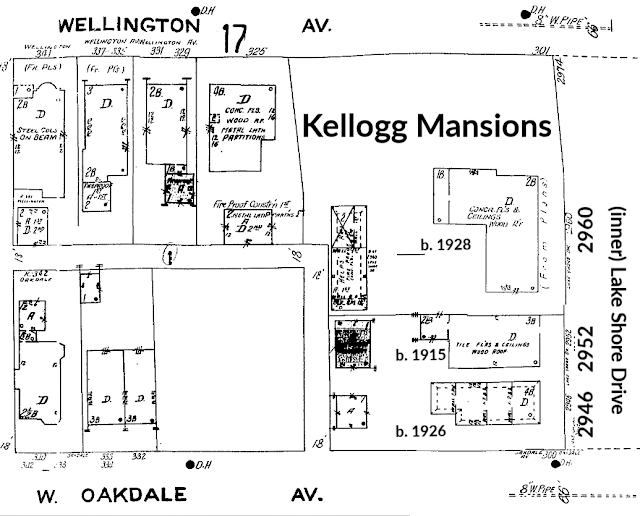 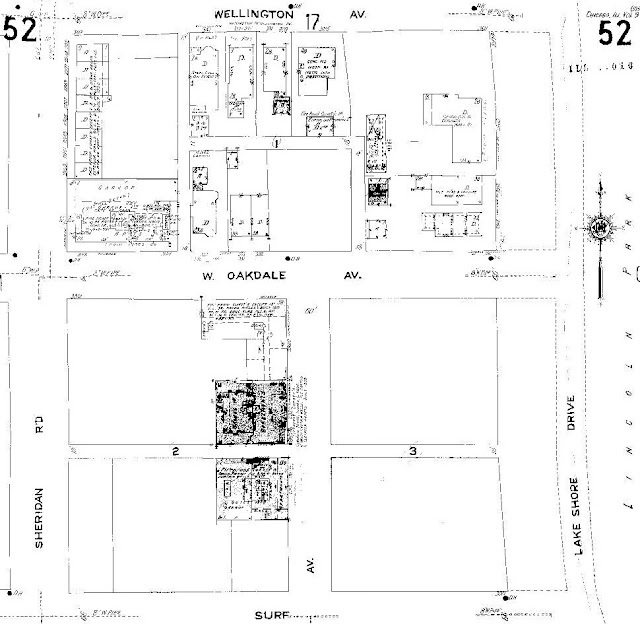 It was listed because it was known as the first pre-planned subdivision in Chicago with it's limestone & brick Victorian/Queen Ann homes on over-sized urban lots. 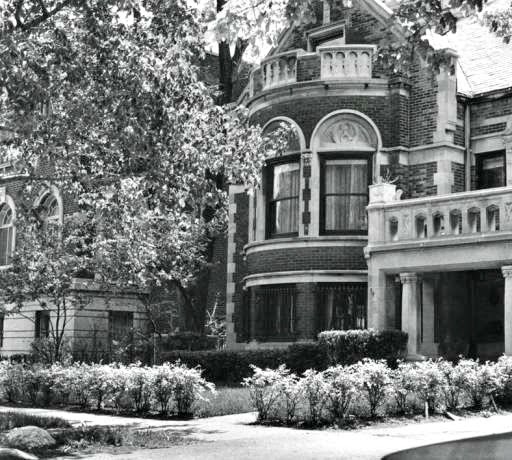 Real estate developer John Cochran and Samuel Crowen known as the architect for the Biograph Theater created this suburban-like area. The district's street range is south of Lawrence Avenue (Uptown), west of Clark Street, north of Irving Park Road and east of Ravenswood Street (east of the Metra tracks). 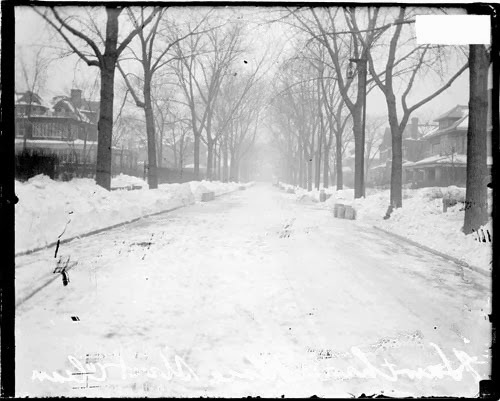 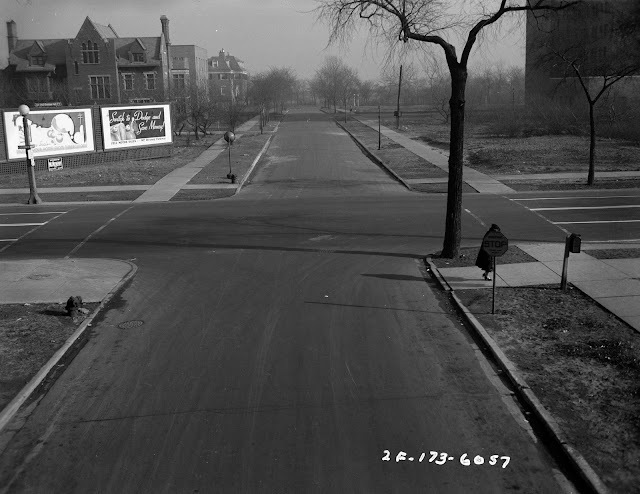 [Montrose Avenue is the border between Uptown and Lake View.] 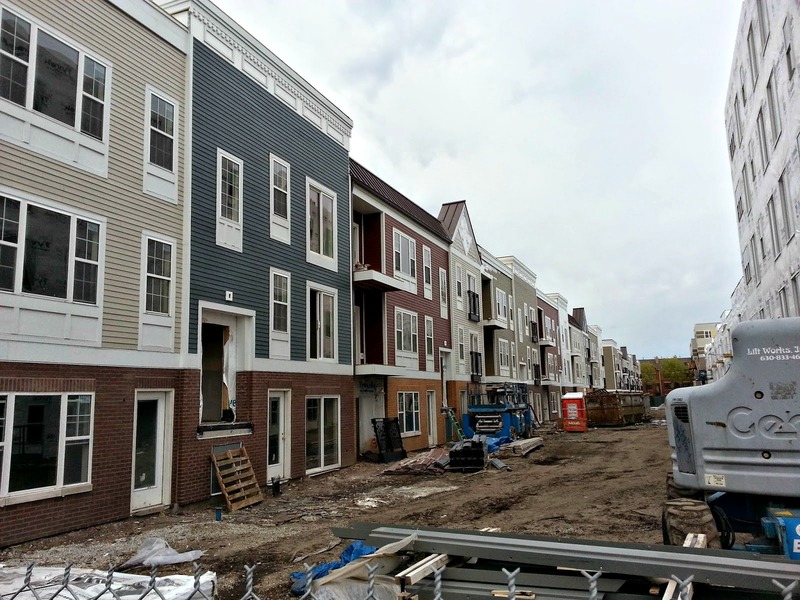 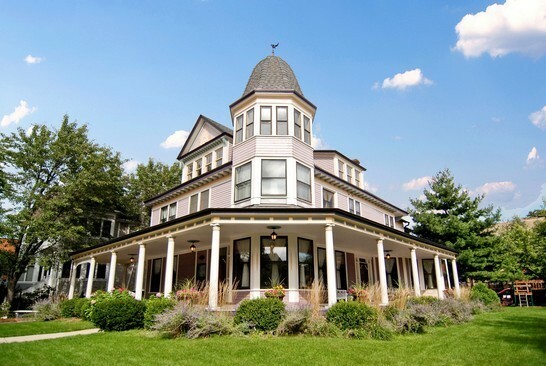 The district includes Graceland West and South East Ravenwood neighborhoods - all in the community of Lake View. 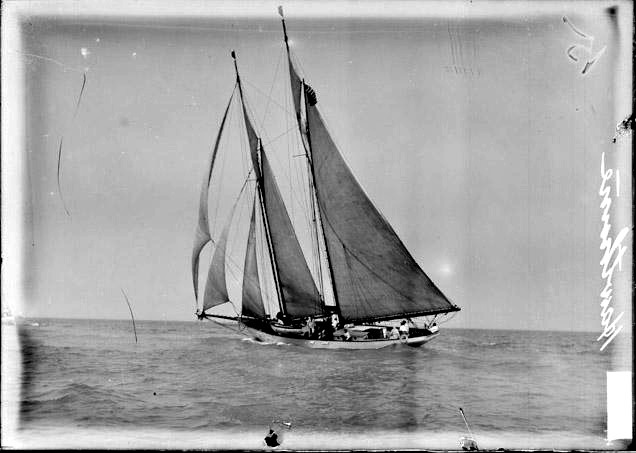 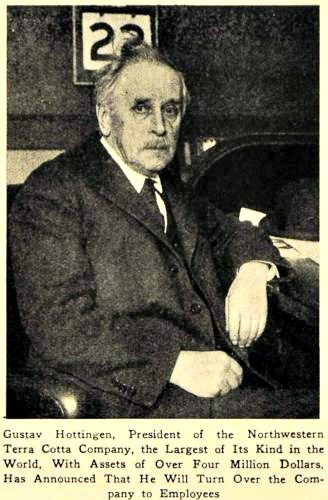 E. H. Turnock. 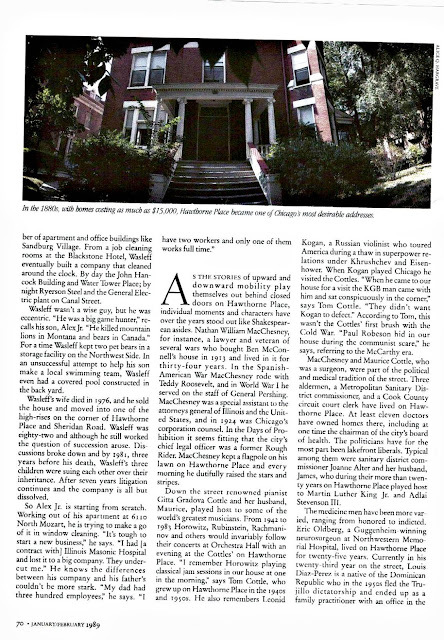 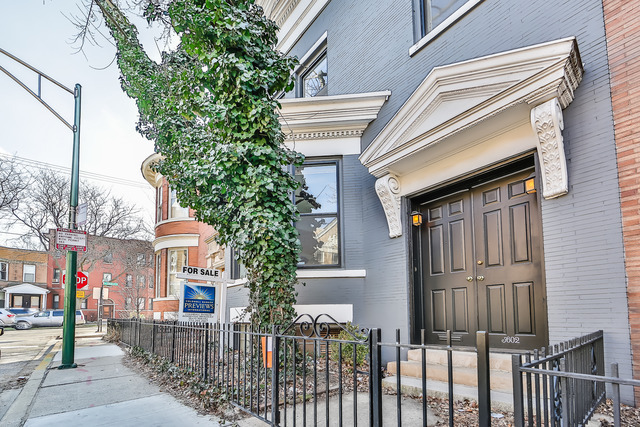 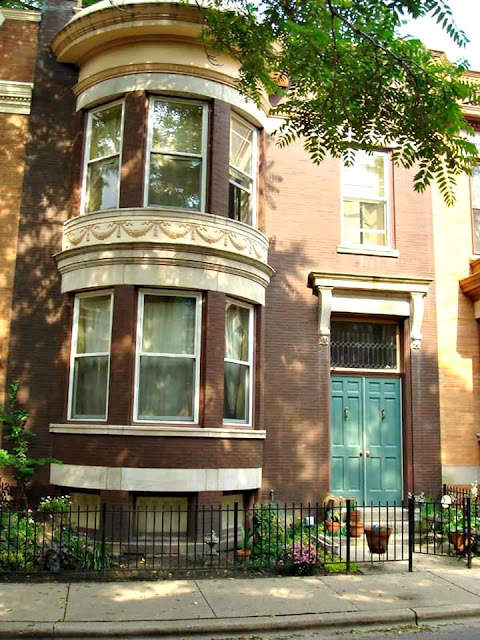 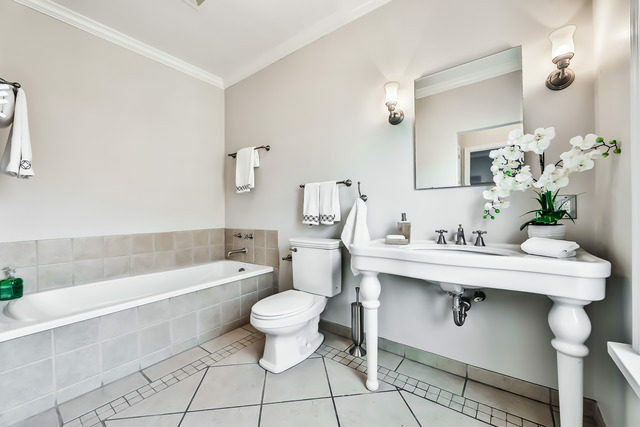 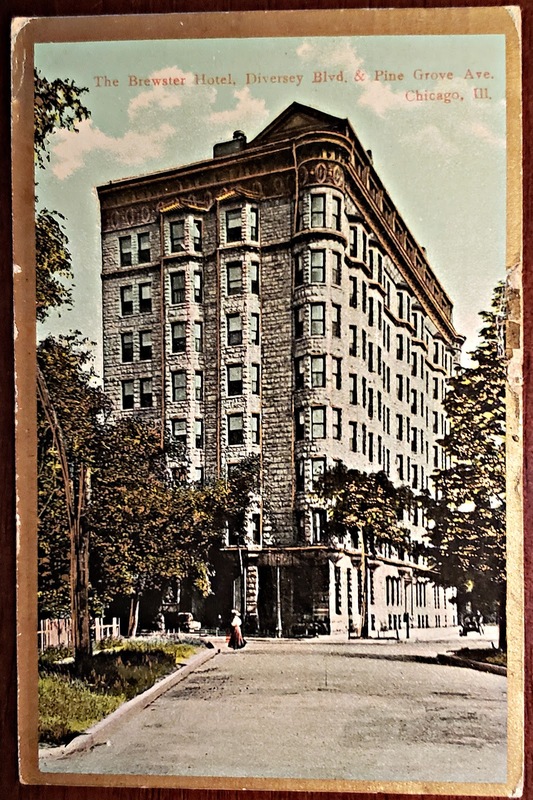 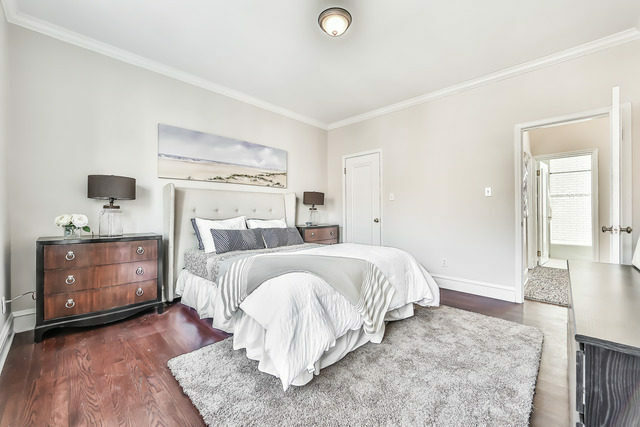 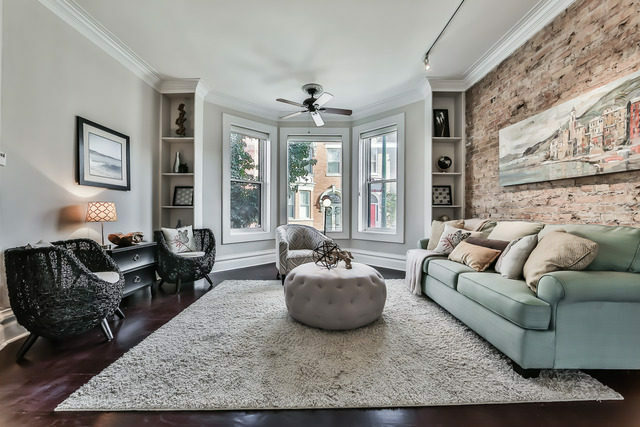 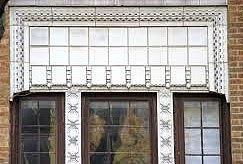 Read about a current condo unit in the building; originally called the Lincoln Park Palace according to the article from 1900 posted below. 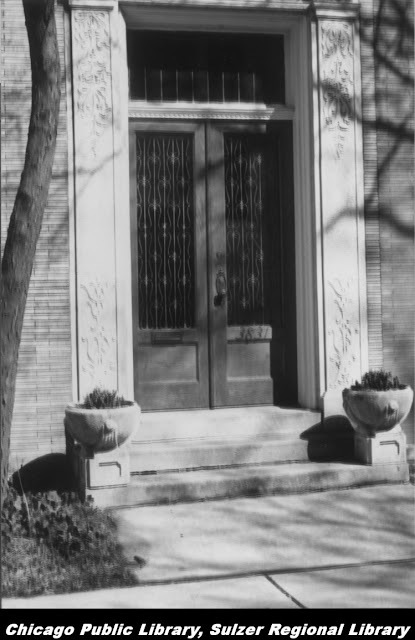 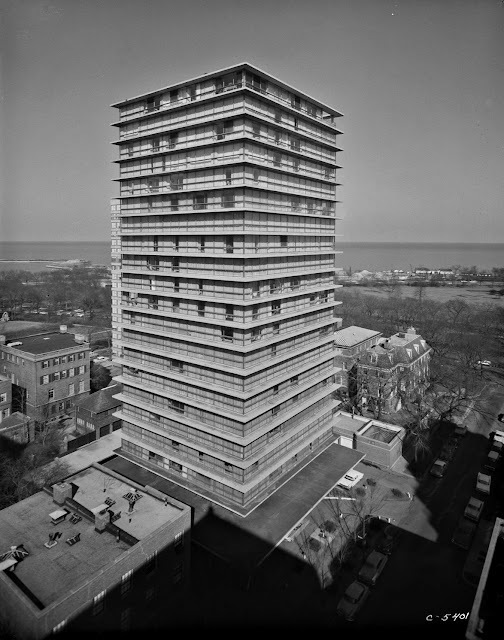 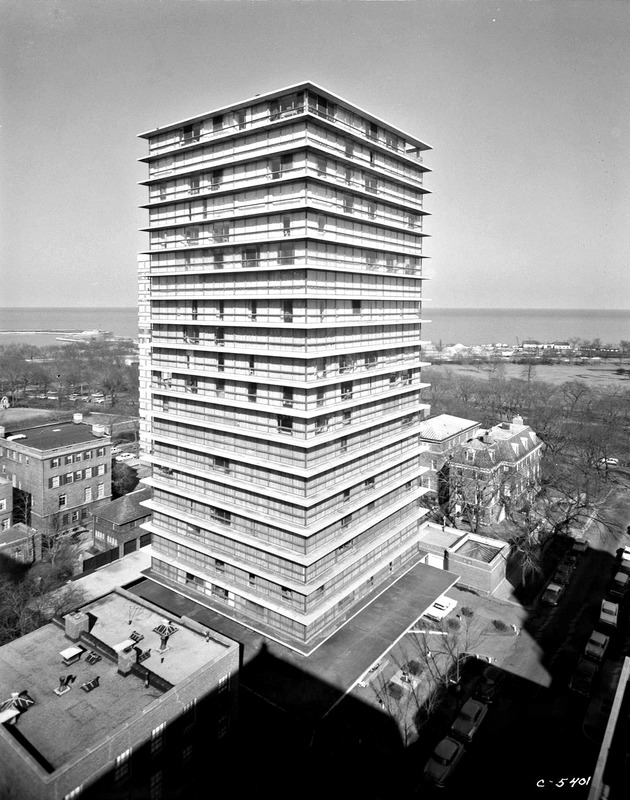 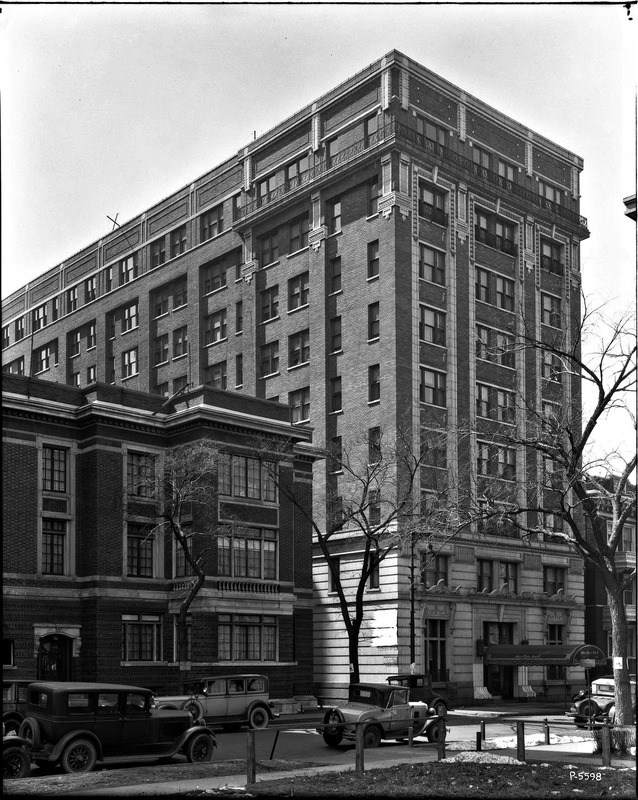 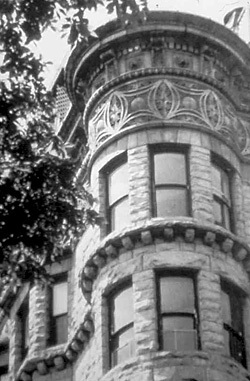 Northwestern Terra Cotta Company, one of the leading manufacturers of a material that revolutionized modern architecture and is uniquely significant to Chicago The term "terra-cotta row" refers to the concentration of dwellings built by executives of the company, as well as the elaborate terra-cotta detailing of the buildings and an unusual terra-cotta walls. 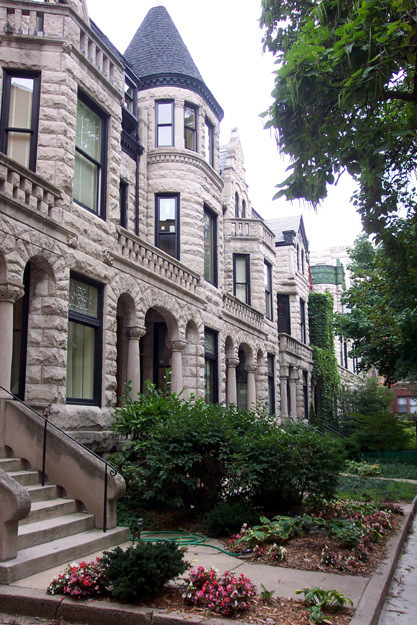 The residences below represent some of the structures of this historical district. significance according to Chicago Architecture Info. 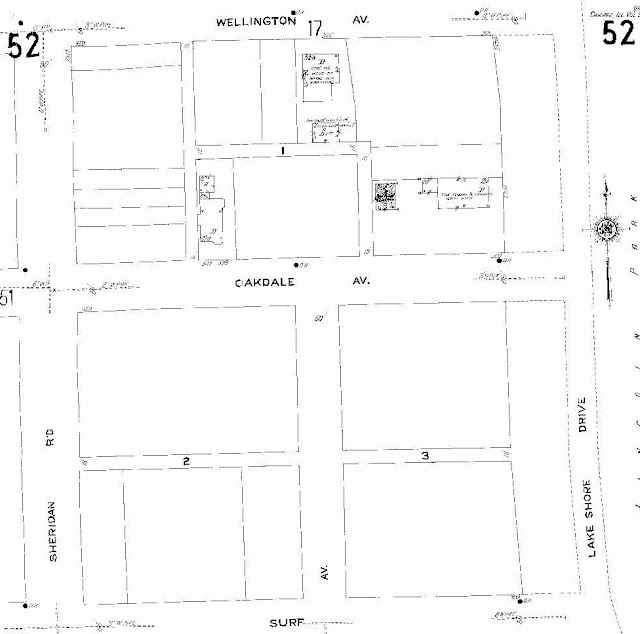 township. The property covers 3,384 sq. 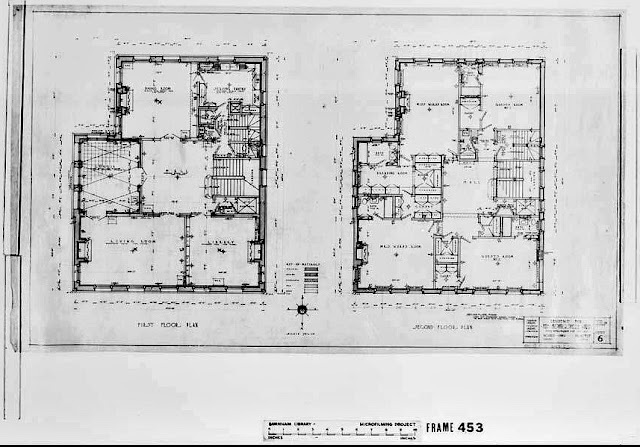 feet of floor space. 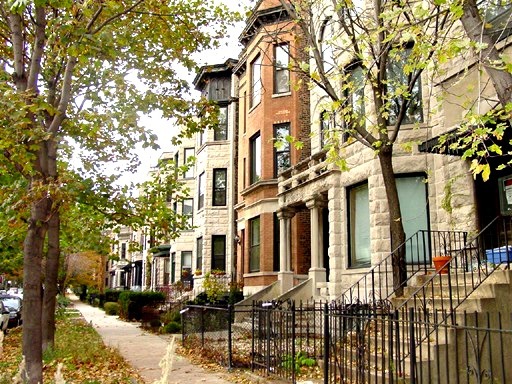 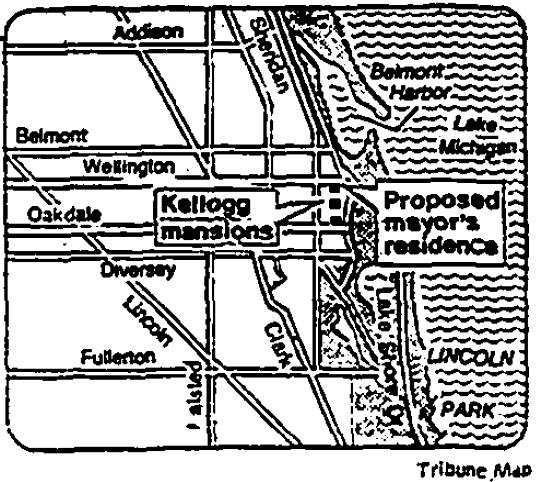 The district is located near lake generally between Diversey and Belmont Avenues. 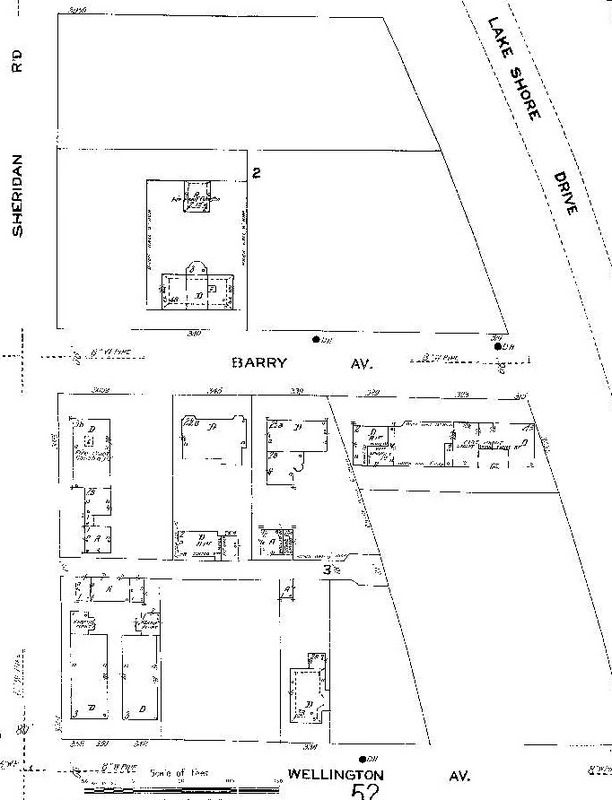 The District contains eight contributing houses along Barry, Wellington & Oakdale, three contributing carriages houses/garages, and five non-contributing resources. 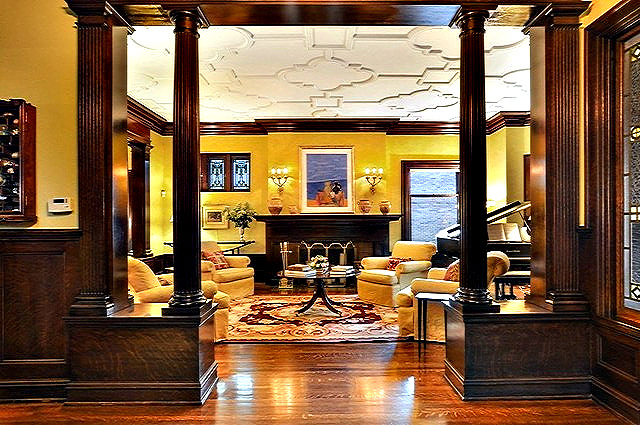 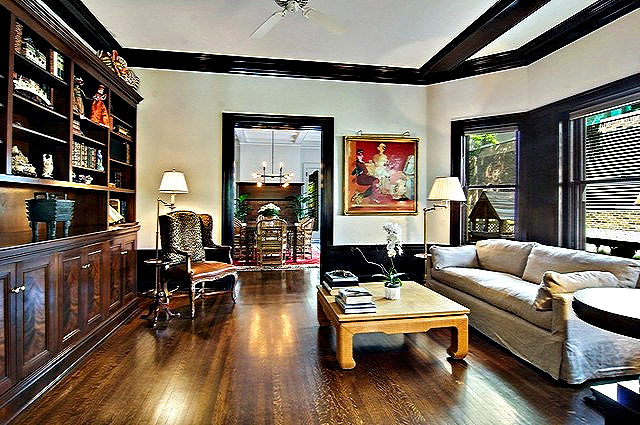 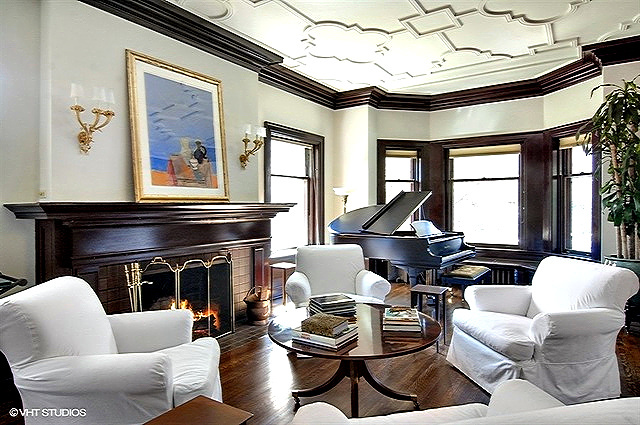 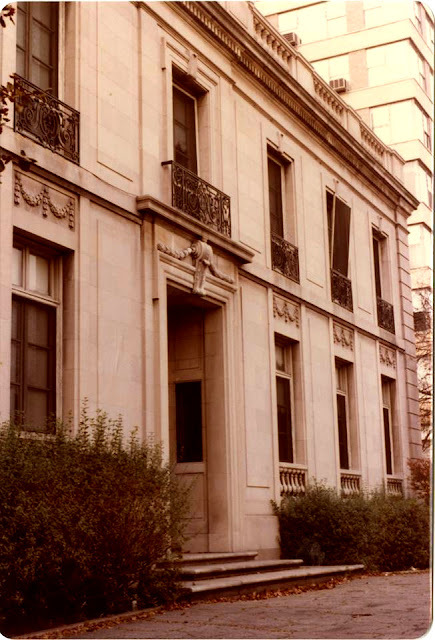 The residences represent the affluent lifestyle of the owners who resided there in the decades after World War I. 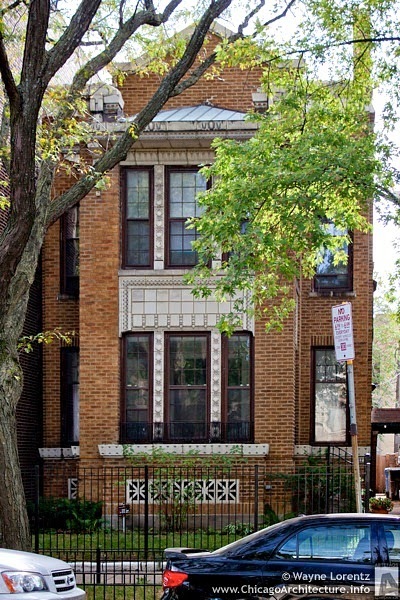 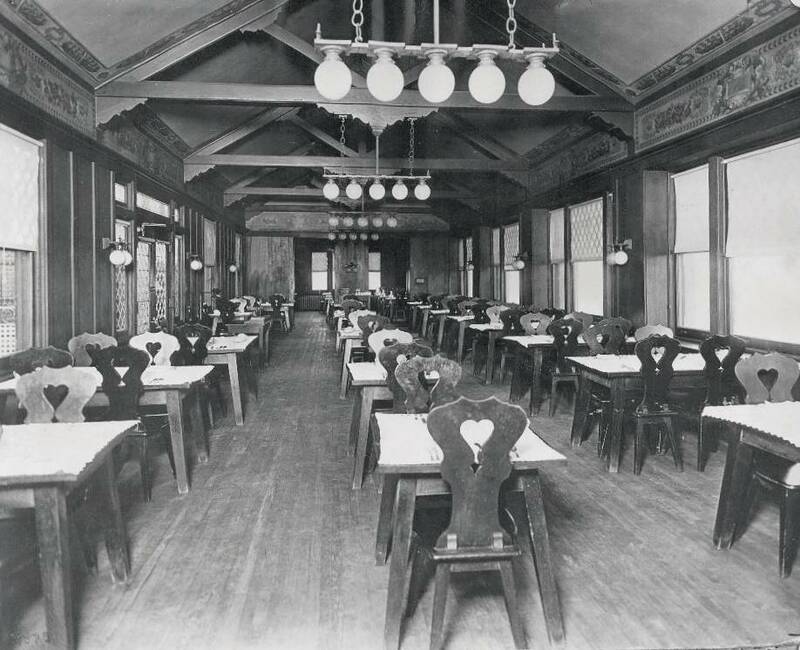 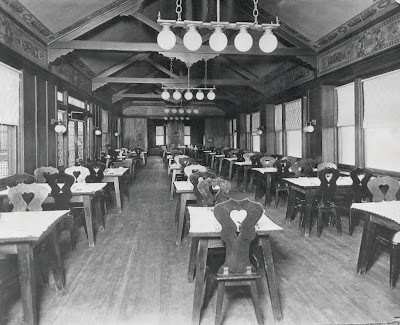 The residences were built between 1913-1930. 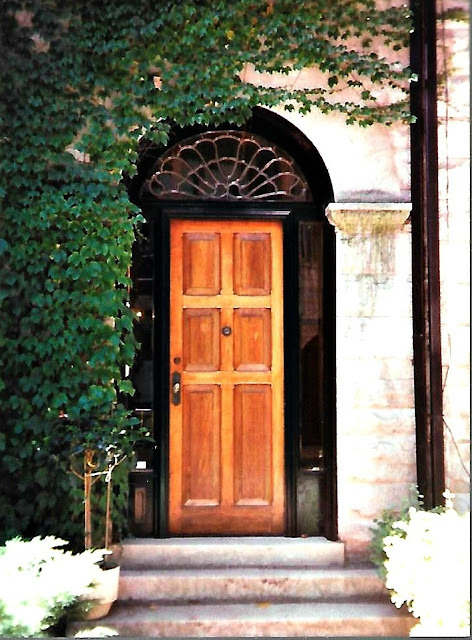 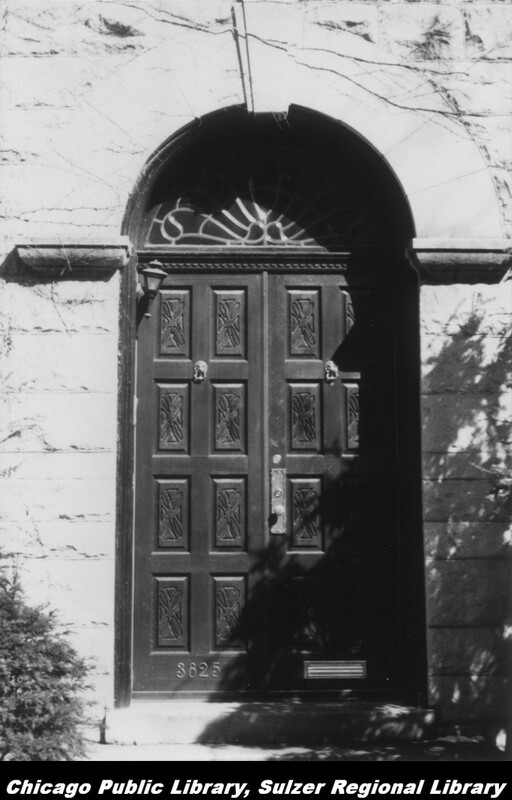 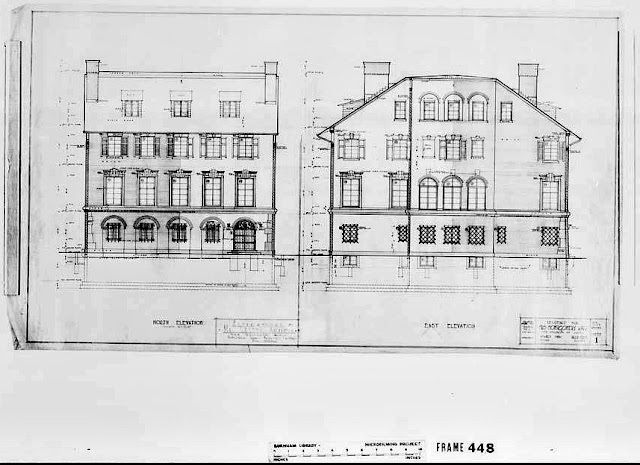 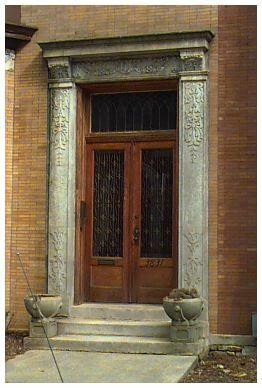 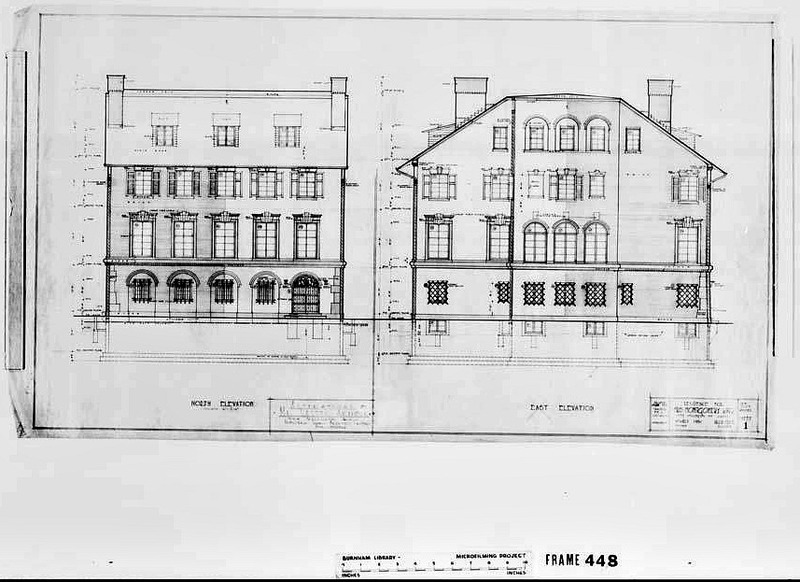 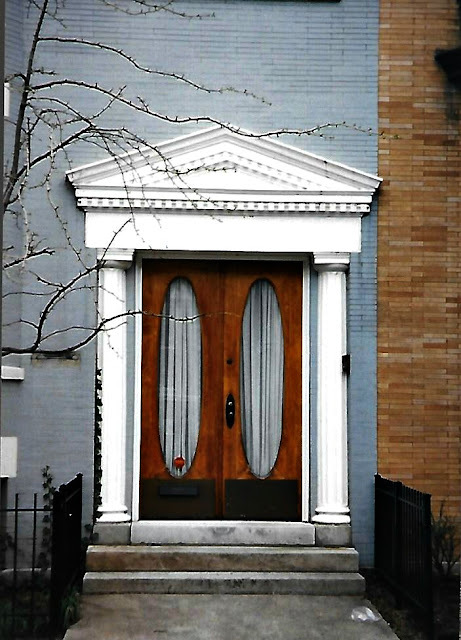 The architectural styles represented include Georgian Revival, Italian Renaissance Revival, Beaux Arts and Tudor Revival, as well as one residence with eclectic features. 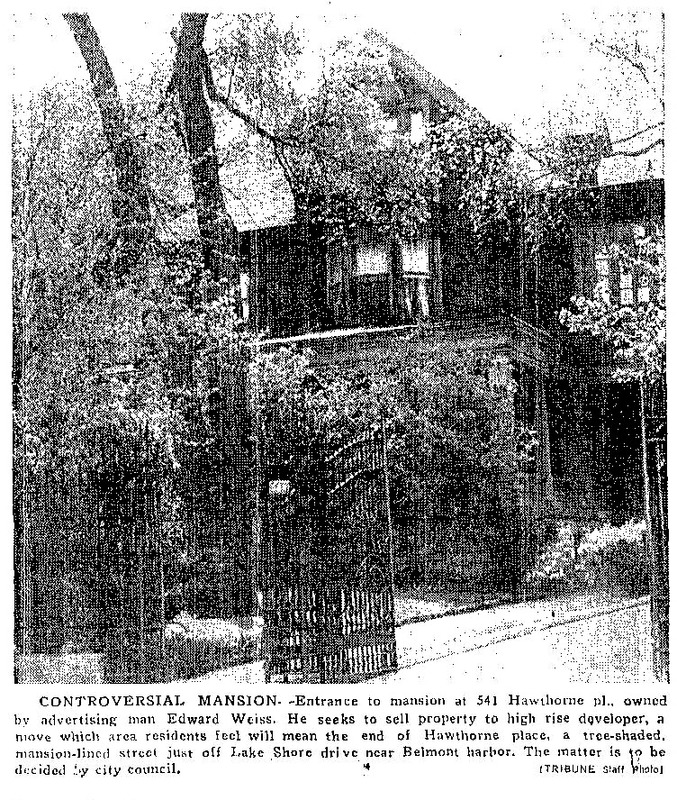 In 2009 the namesake of the district, Meeker Mansion on Barry Avenue, was converted into condos and began selling for millions ... like $1,407,900. 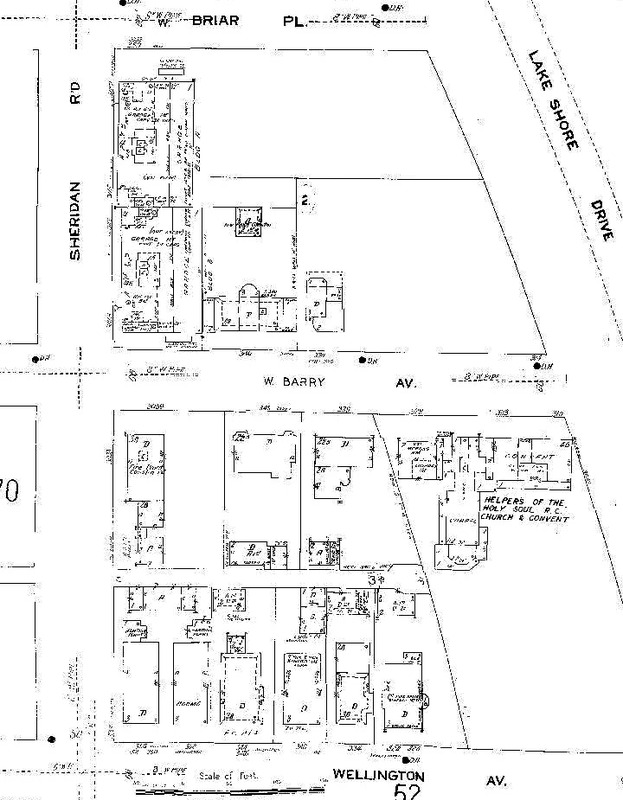 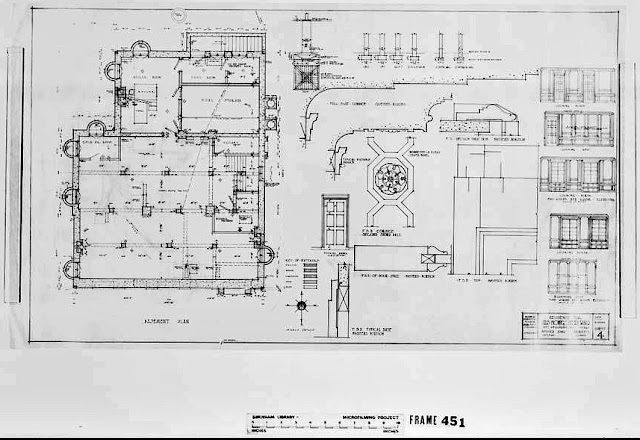 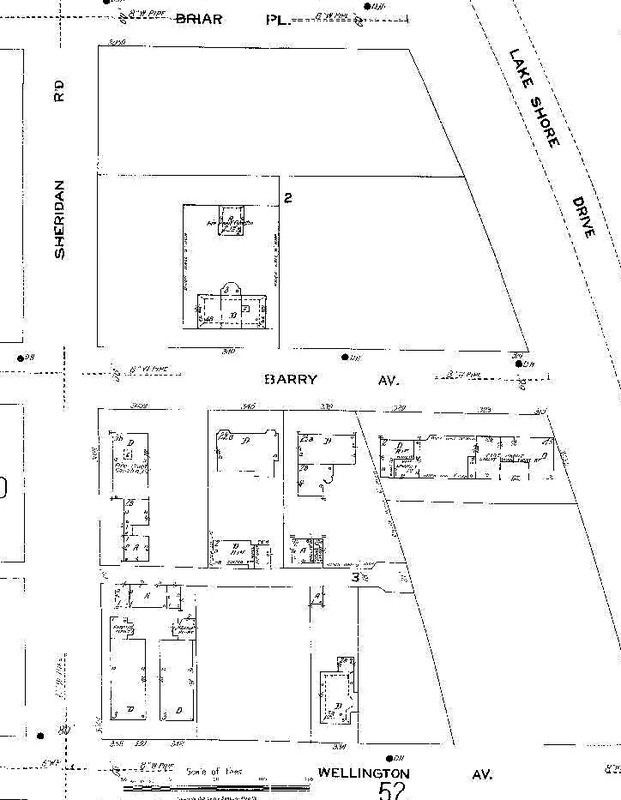 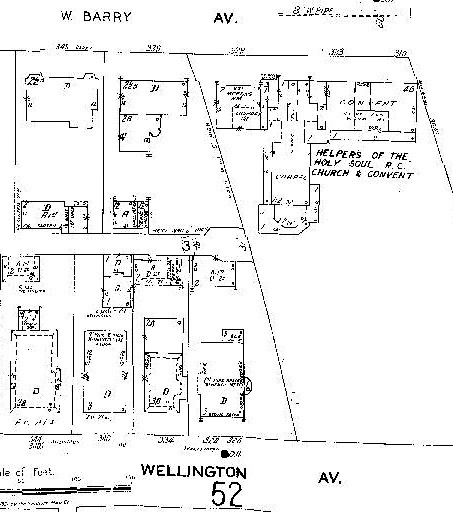 This 1950 Sanborn Fire Map highlights the convent, chapel, adjacent building westward of inner LSD has a property location of 315-329 W Barry and a possible address of 3030 N Inner LSD. 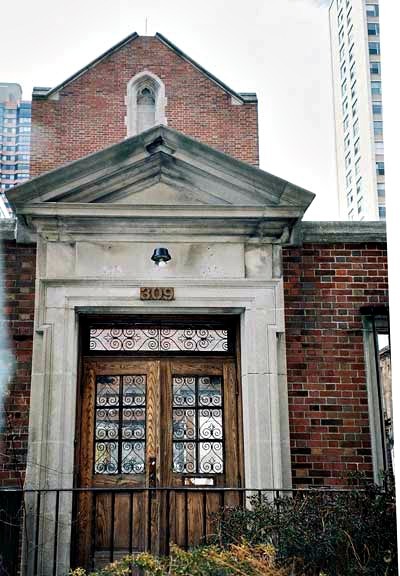 This Catholic institution provided care for those unable to discover or afford medical care anywhere else. 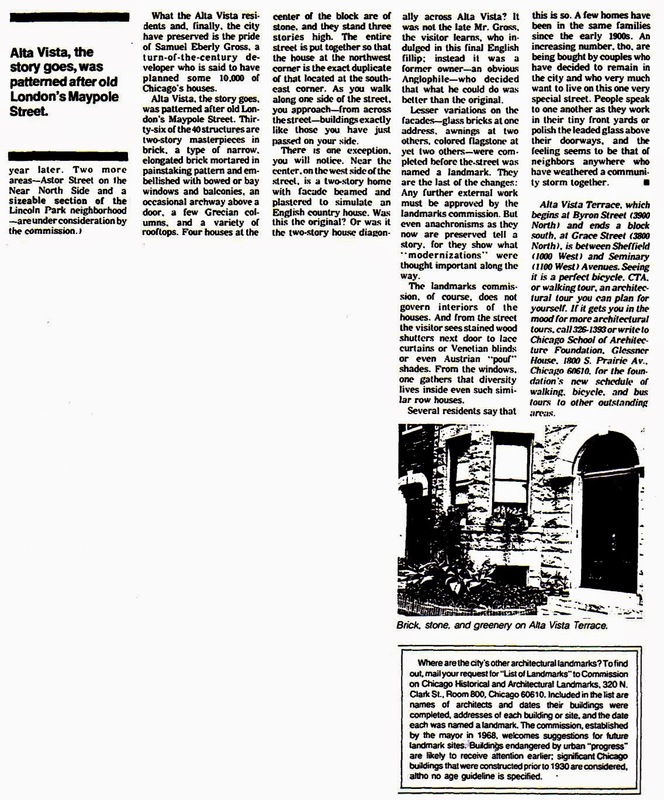 Their mission continued during the worst of the AIDS crisis. 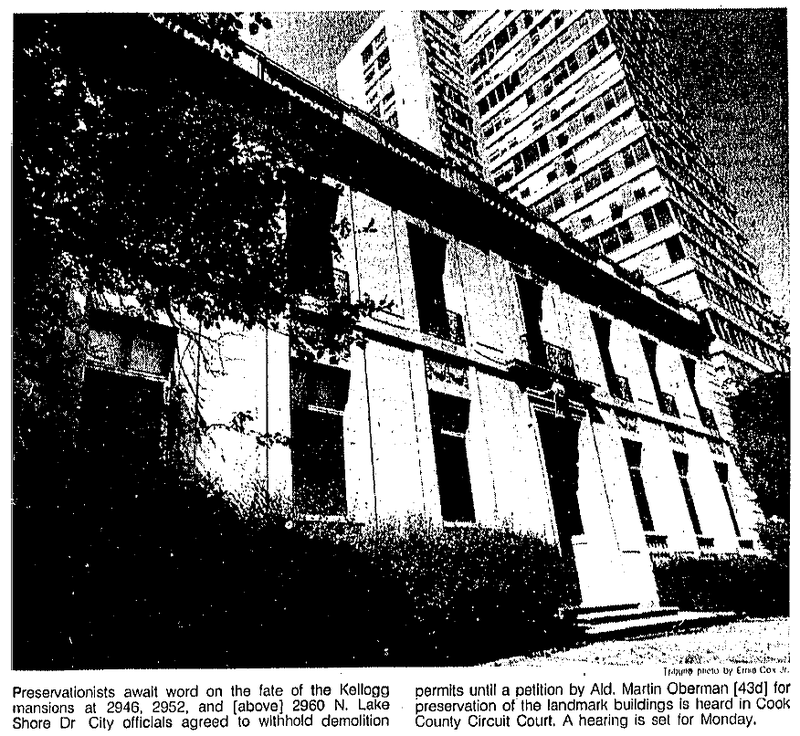 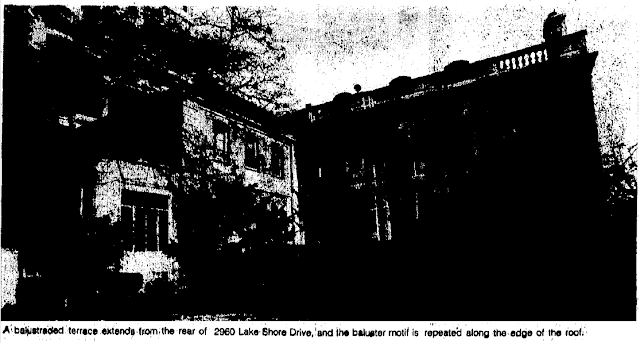 Then in April of 2005 the sisters sold the mansion to LR Development Co. for $21 million. 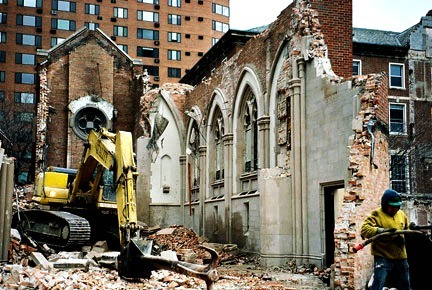 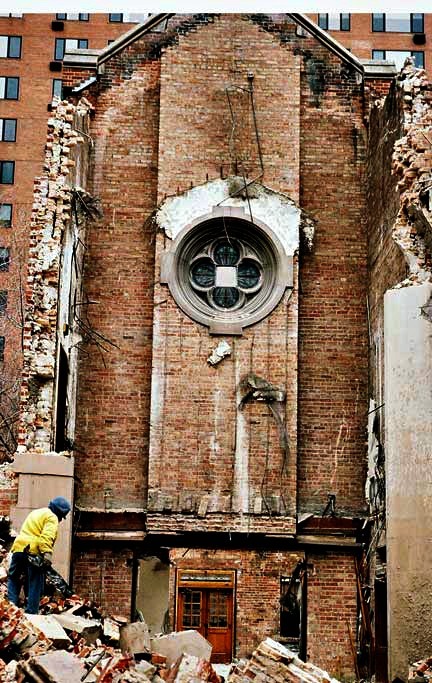 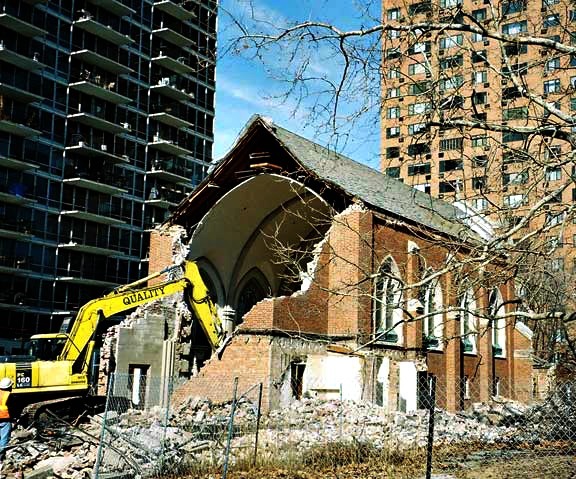 The chapel that the sisters added when they acquired the property along with an addition of the same vintage was torn down. 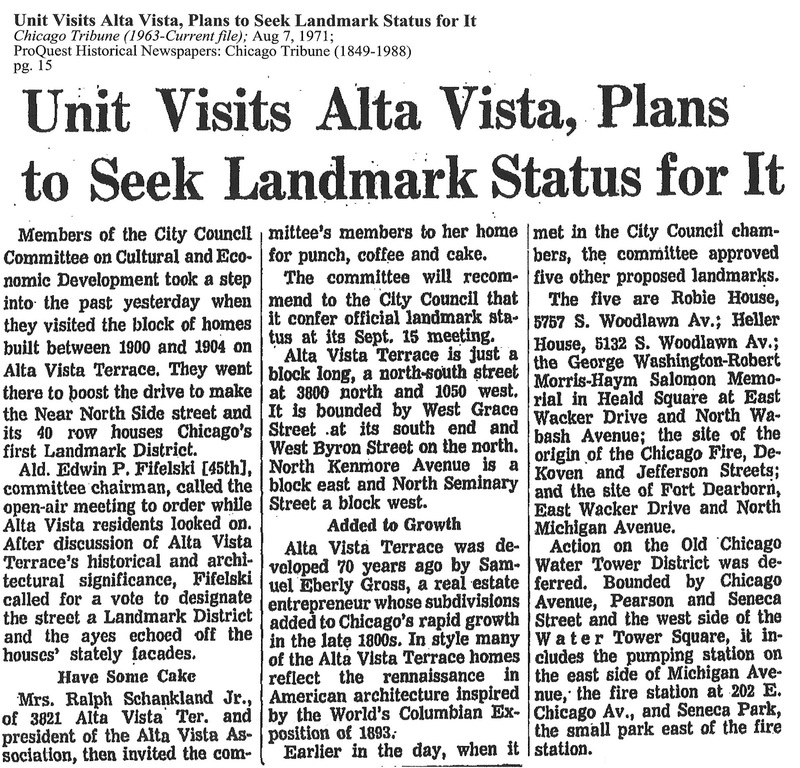 I only noted the historical districts in the neighborhood of Lake View. 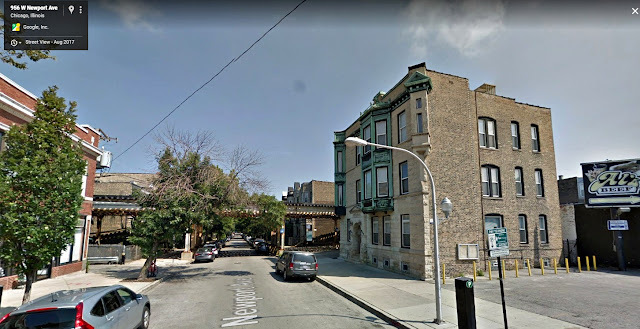 Google Map did a fairly good job of highlighting the others that was within the old township borders such as Andersonville, Edgewater, and Buena Park that our north of Fullerton Avenue to Devon, Western to the lake. The City of Chicago has a more detailed description of each district while Curbed Chicago has an interesting article on it.